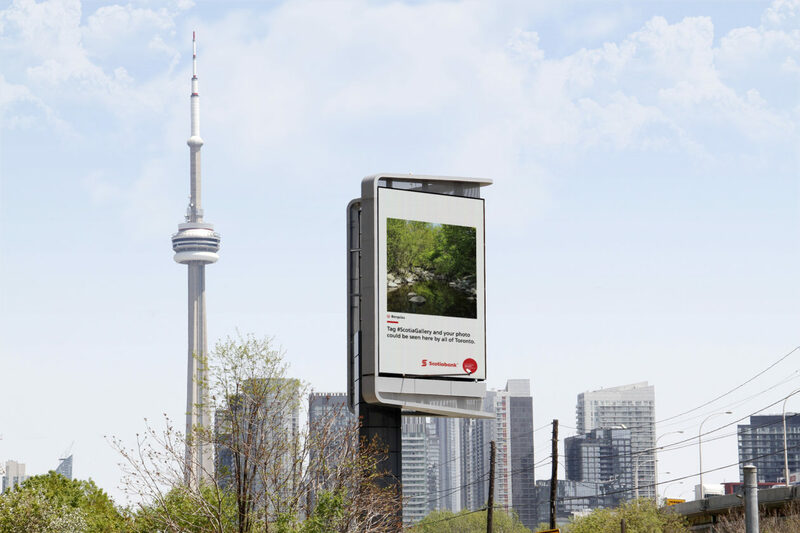 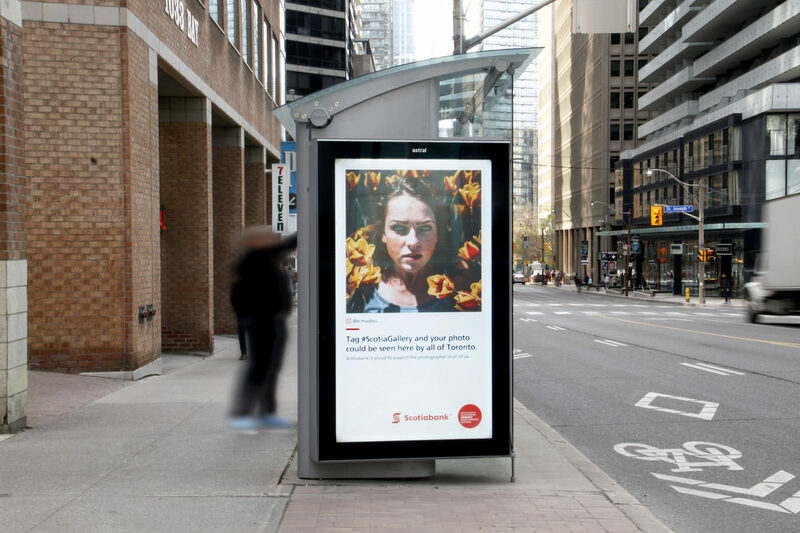 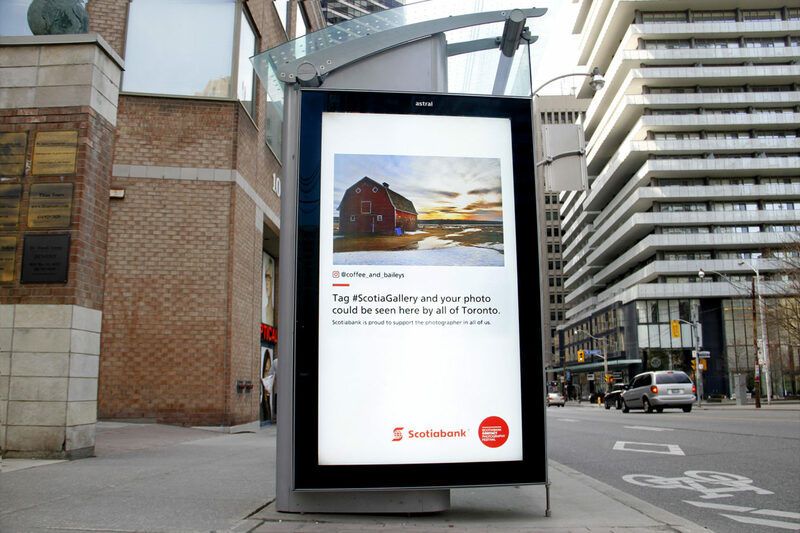 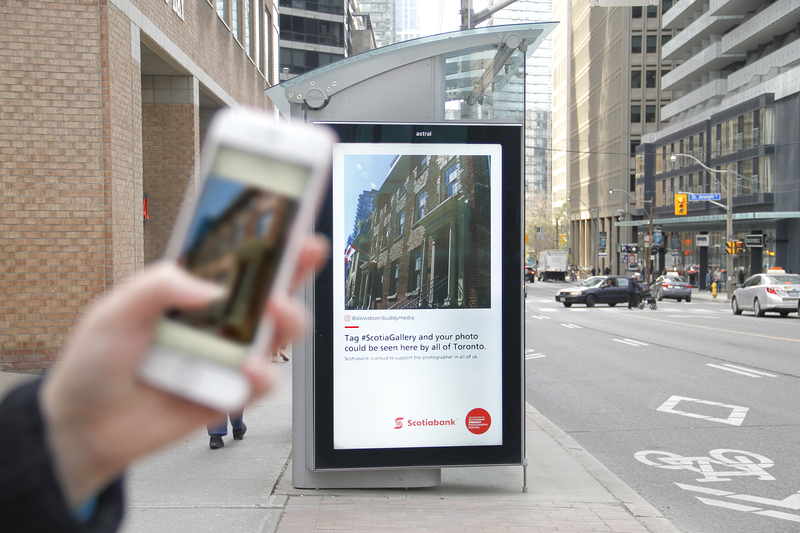 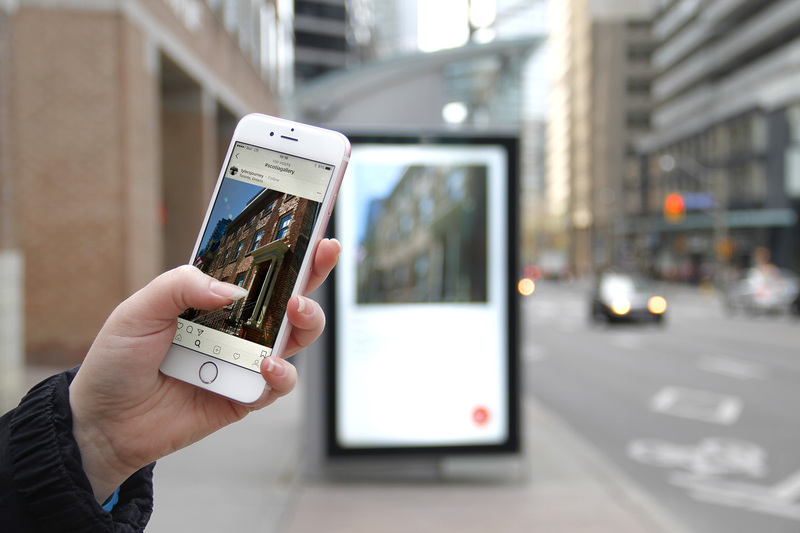 Scotiabank wanted to create a public photo gallery on the streets of Toronto where anyone could have their own images displayed via the #scotiagallery hashtag on Instagram. 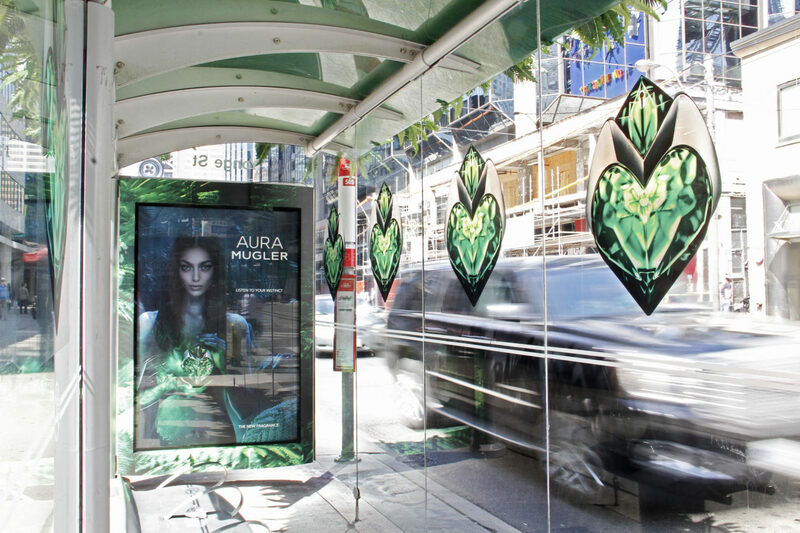 To do this, Astral developed a flexible moderated tool so that the client could post the images. 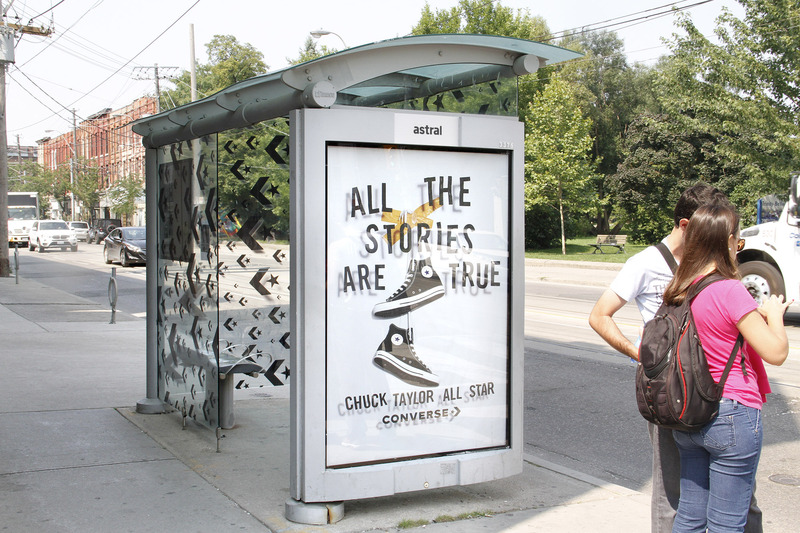 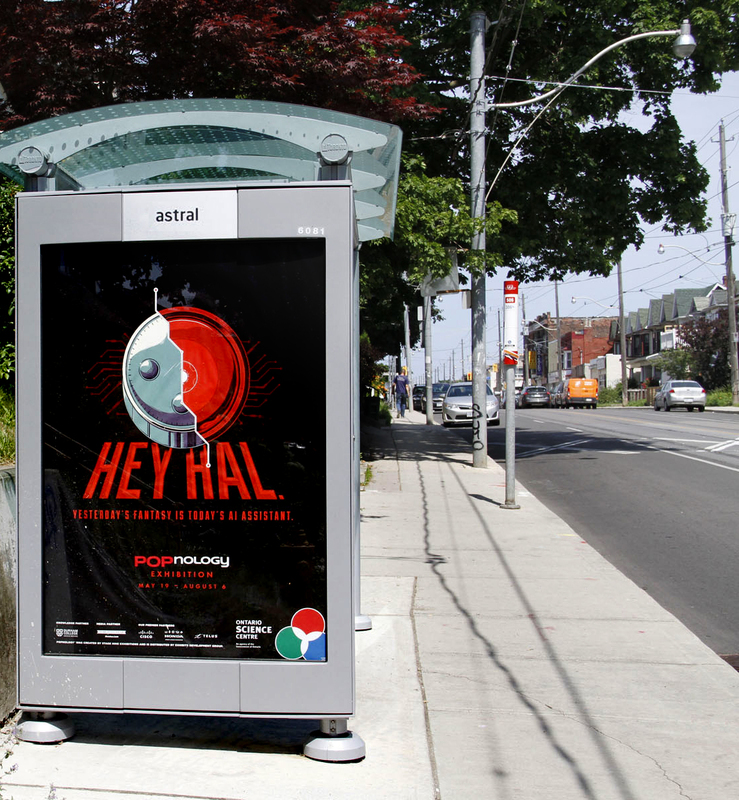 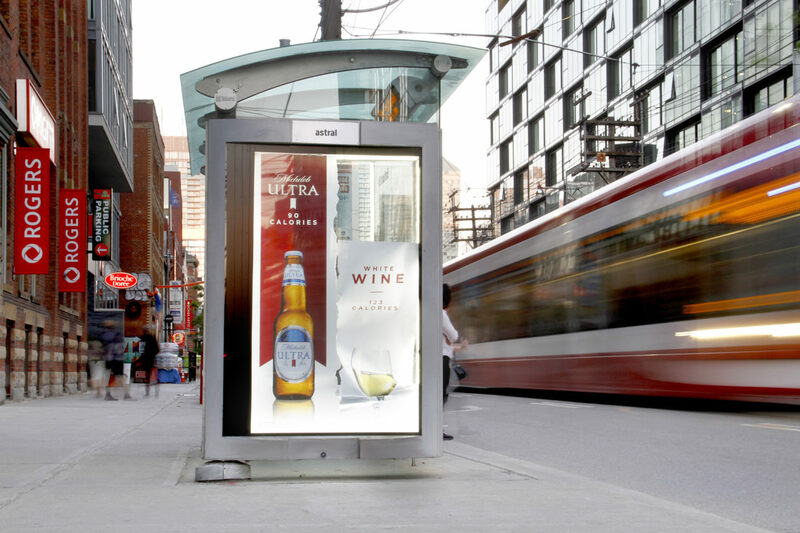 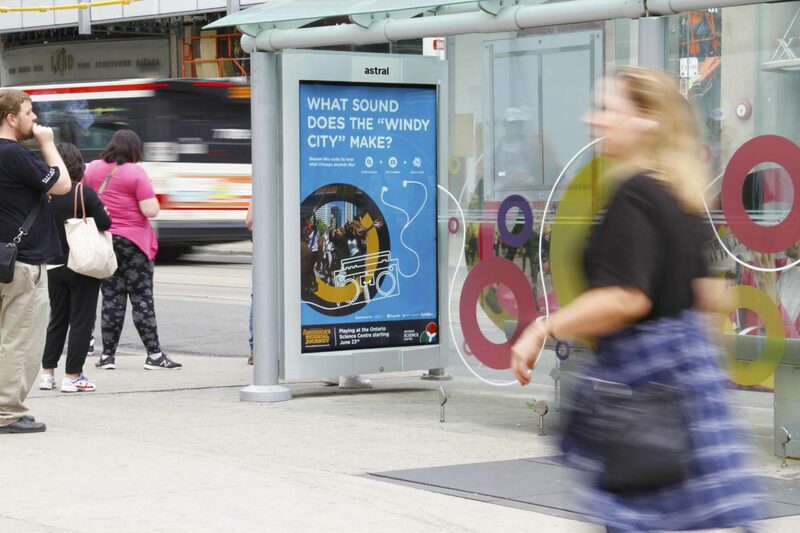 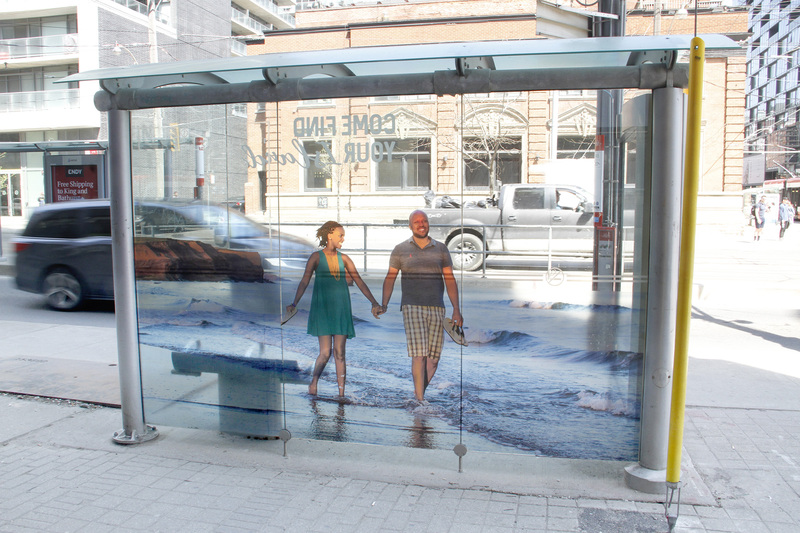 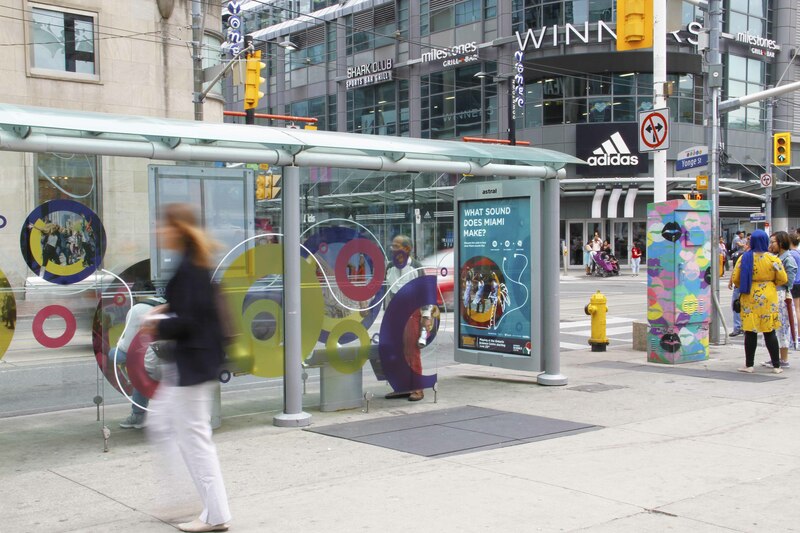 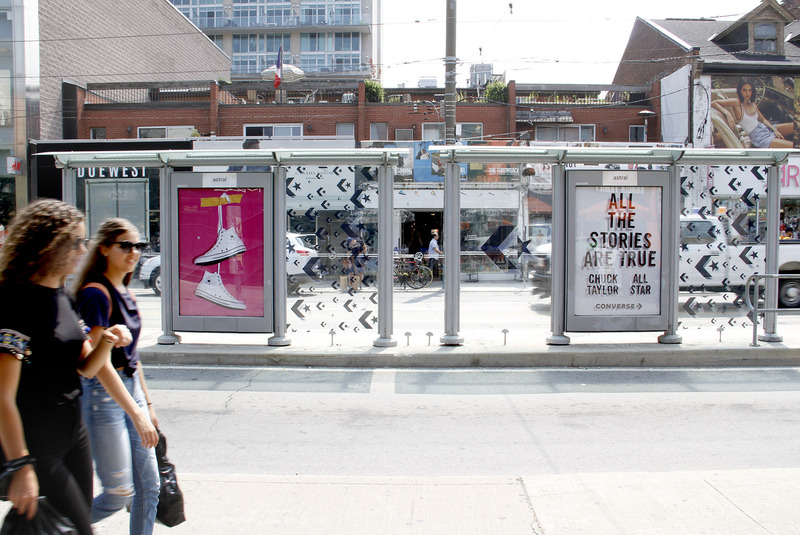 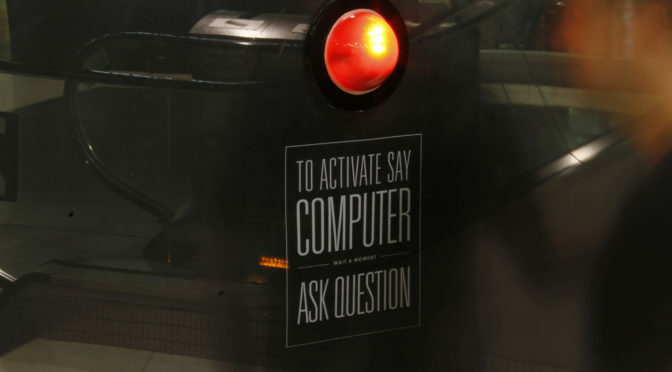 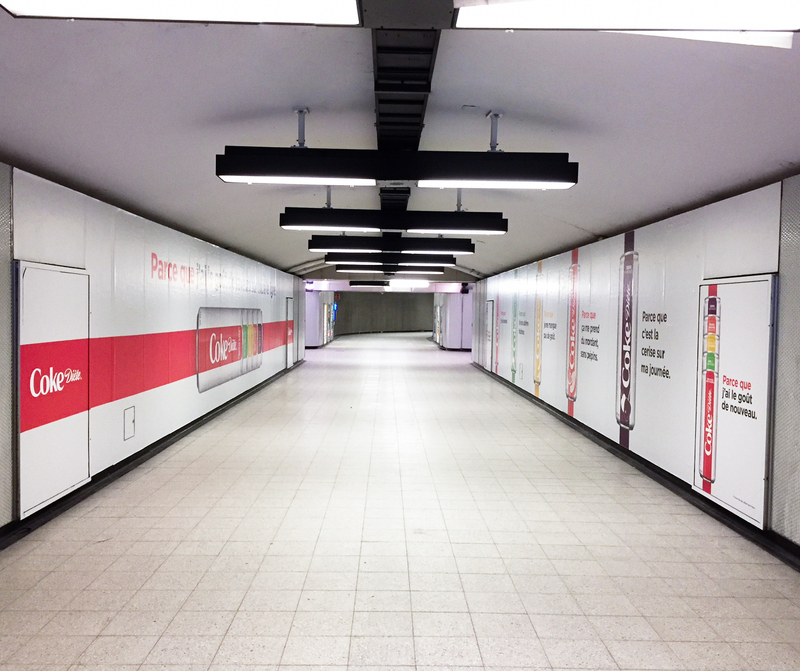 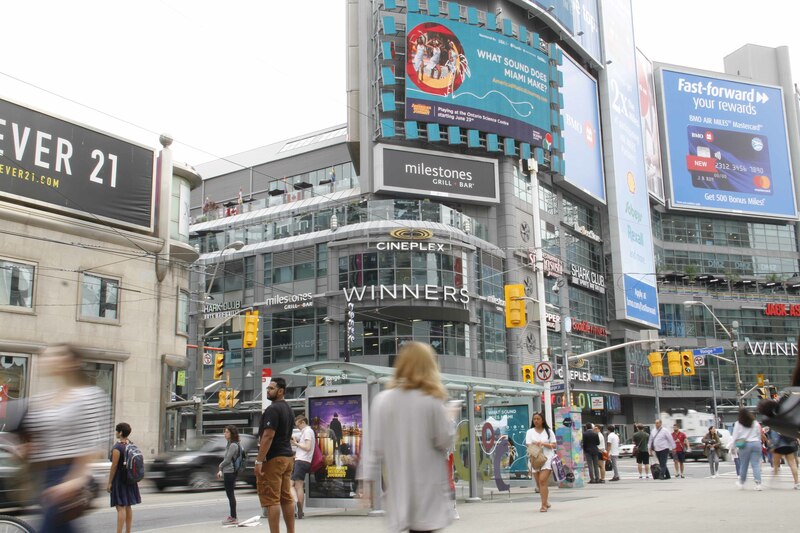 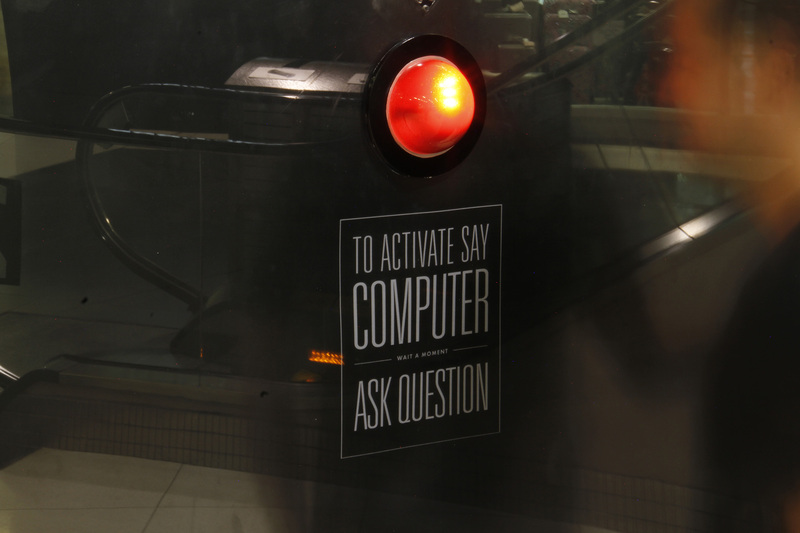 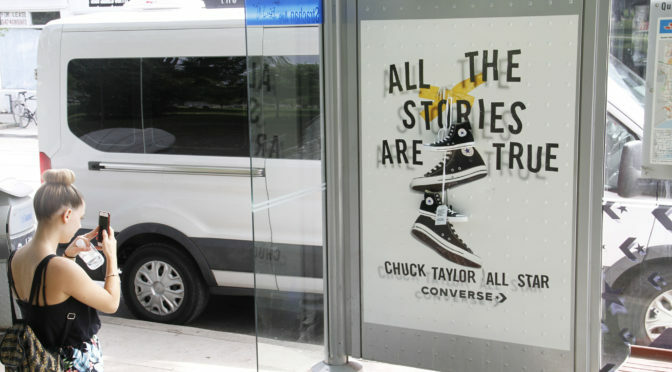 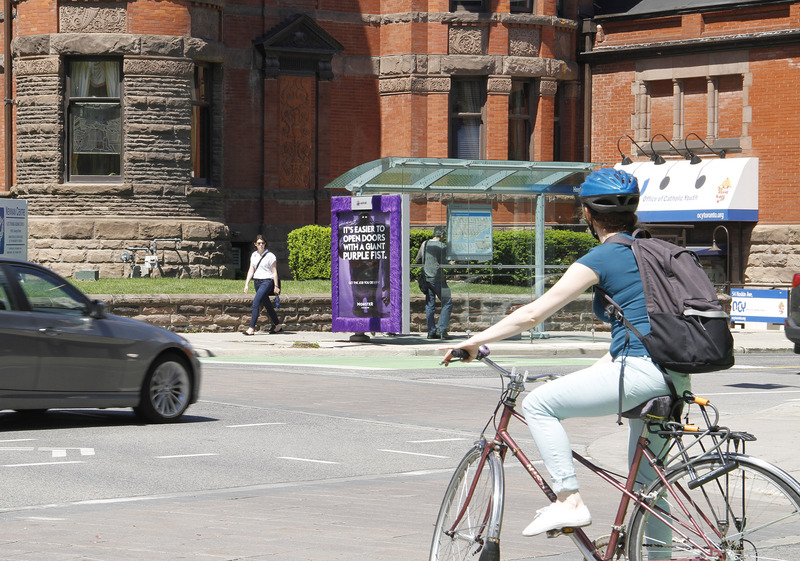 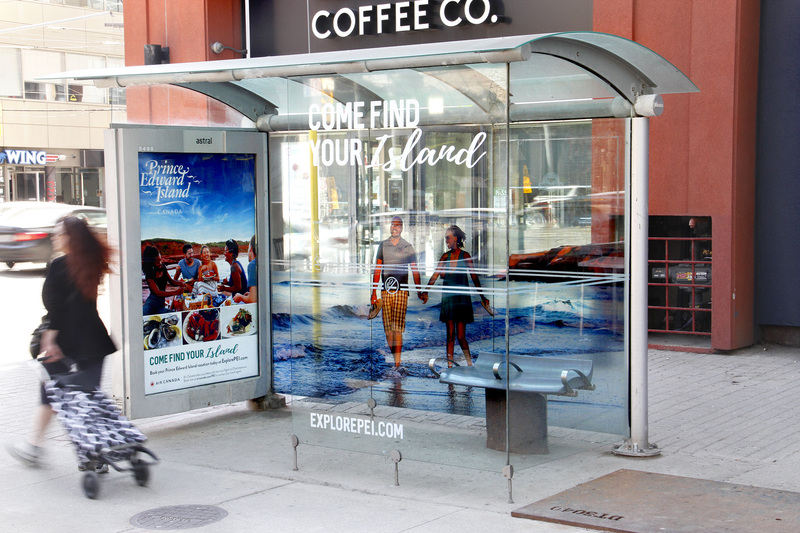 The selected images were broadcasted on Astral Toronto digital transit shelters and one of Astral’s most prominent vertical digital board on Gardiner. 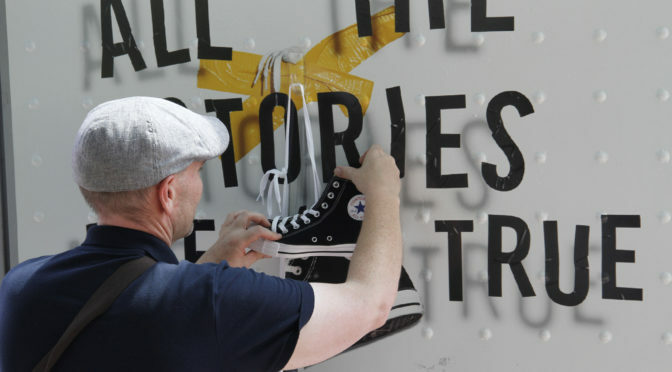 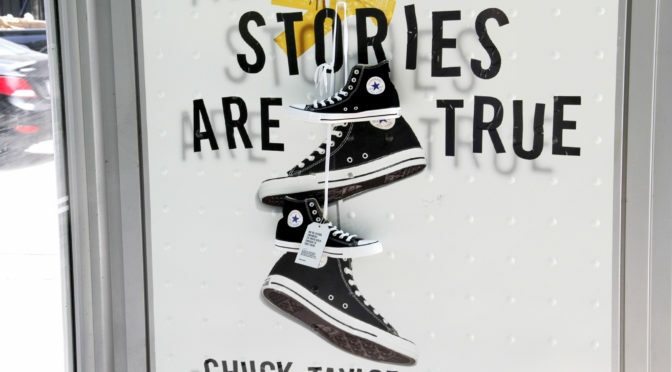 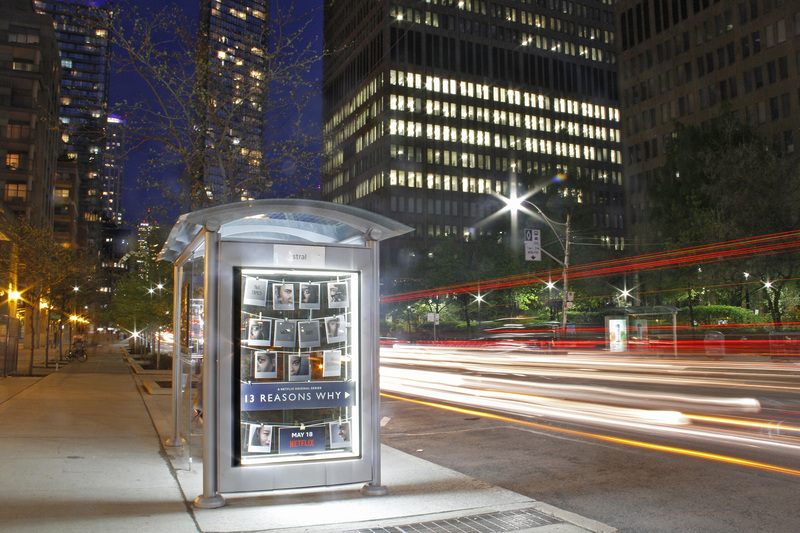 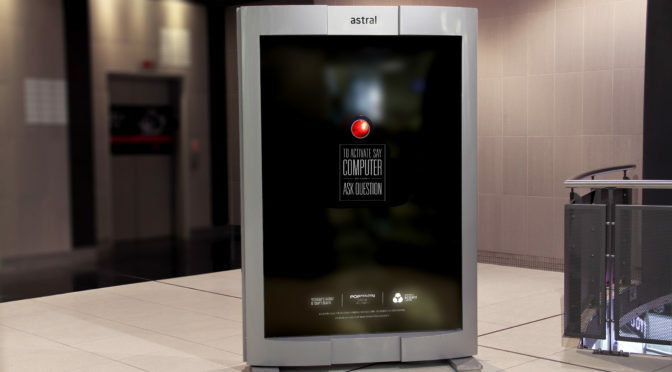 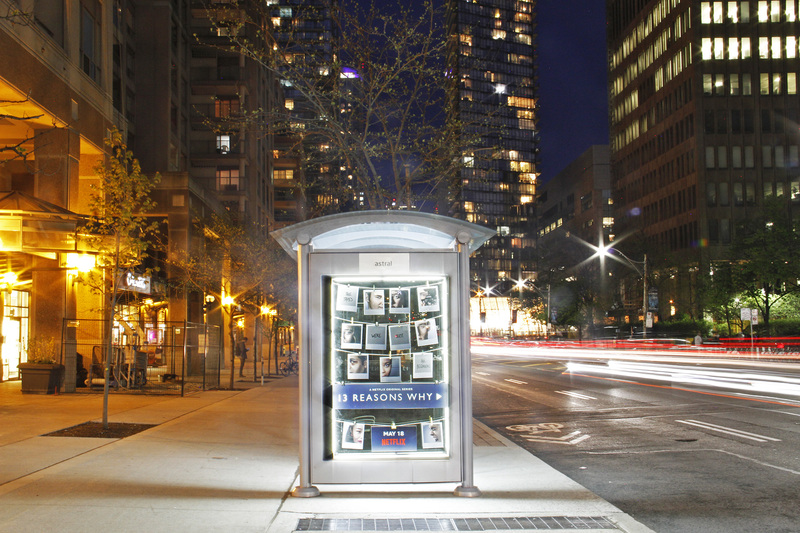 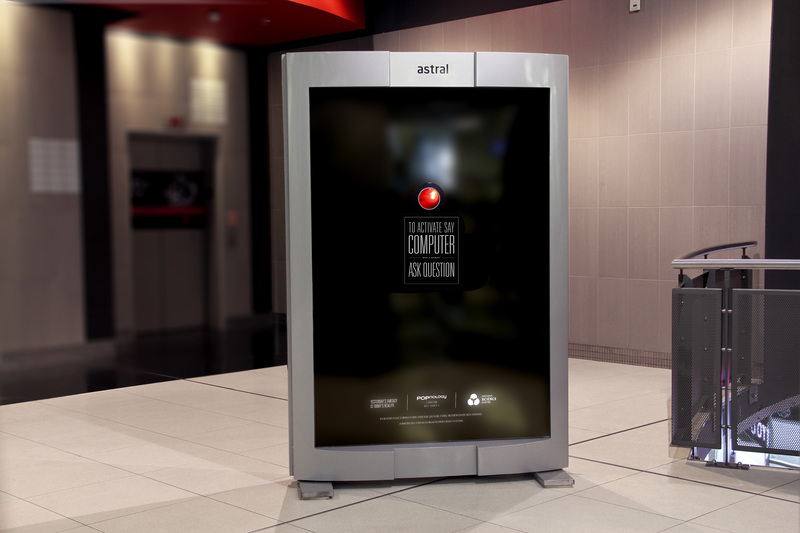 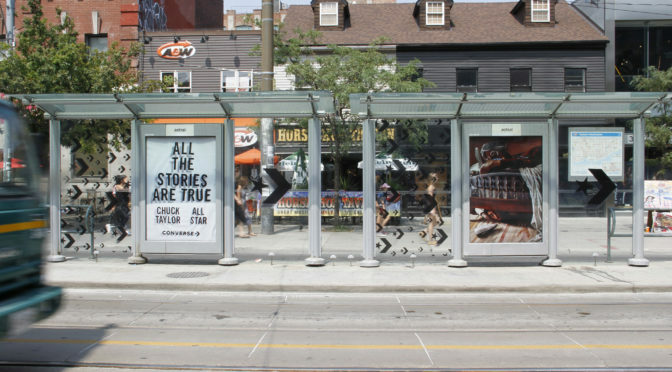 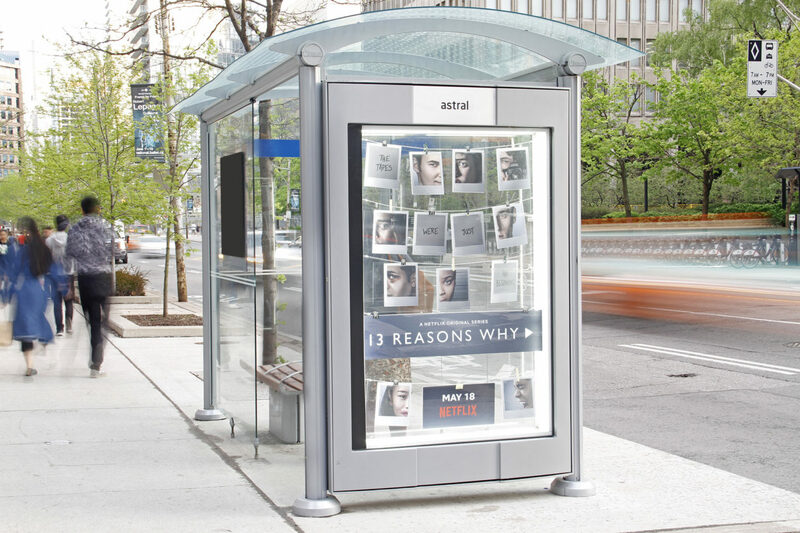 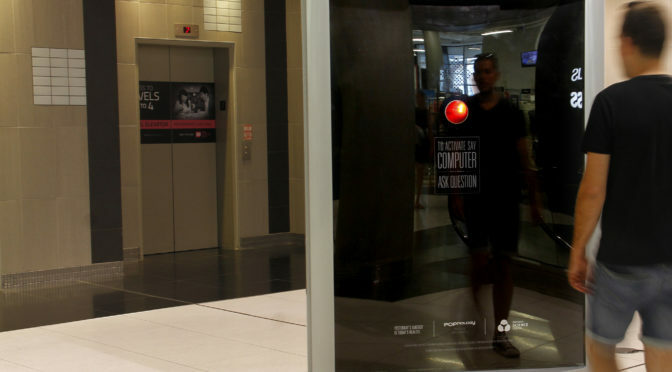 To promote season 2 of Netflix’a popular show ’13 Reasons Why’, Astral was tasked with building a special showcase unit inside a Toronto transit shelter. 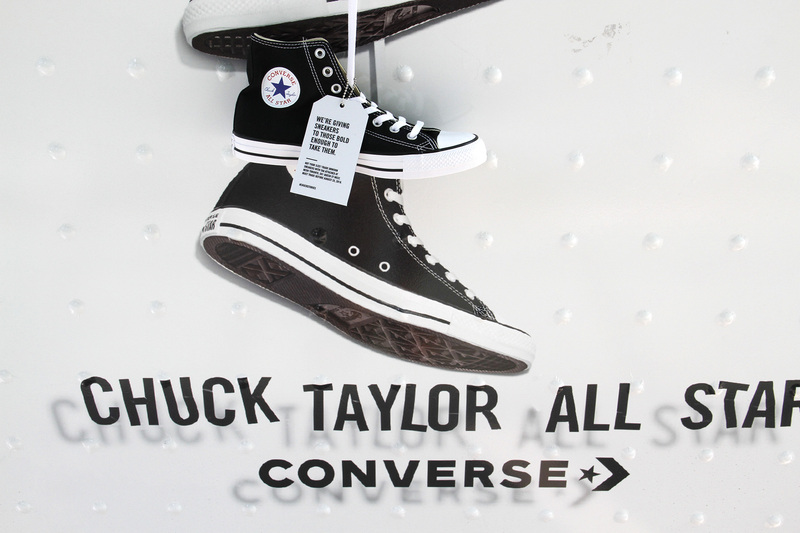 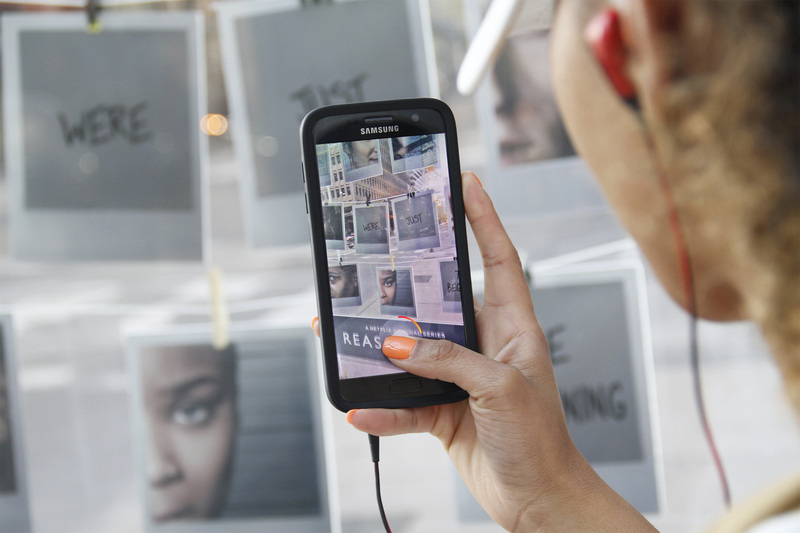 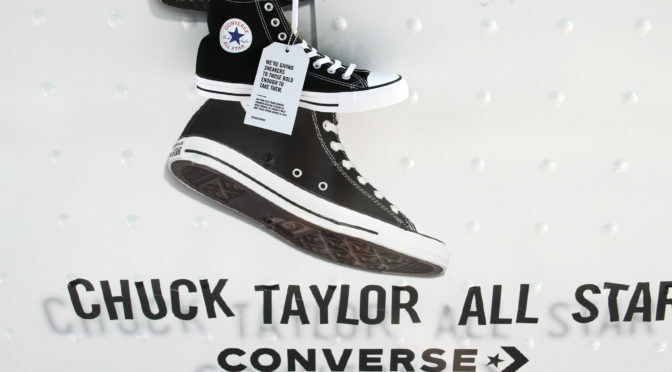 The case was fully lit and oversize polaroids of characters from the show were strung in rows within the space. 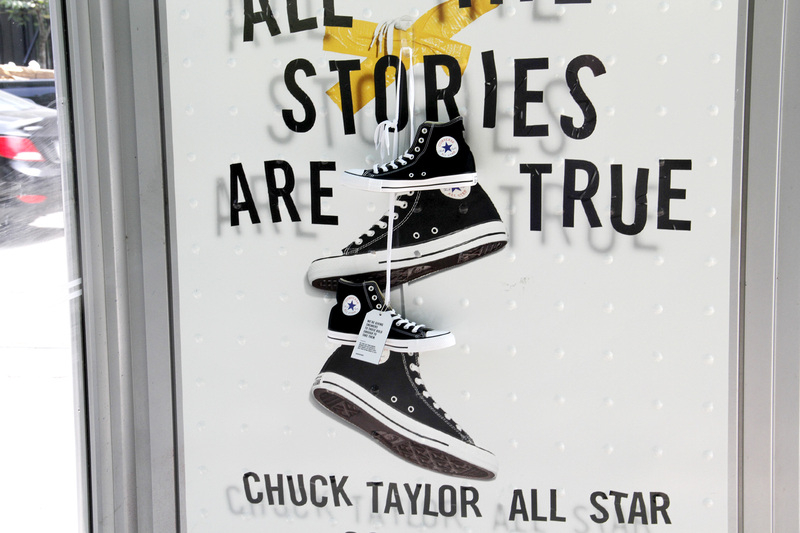 The result captured the style and mood of the show. 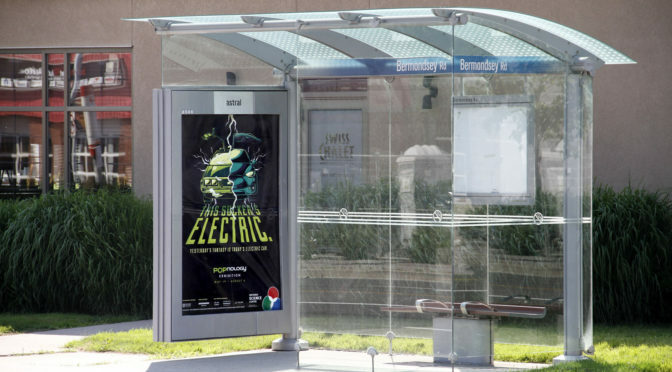 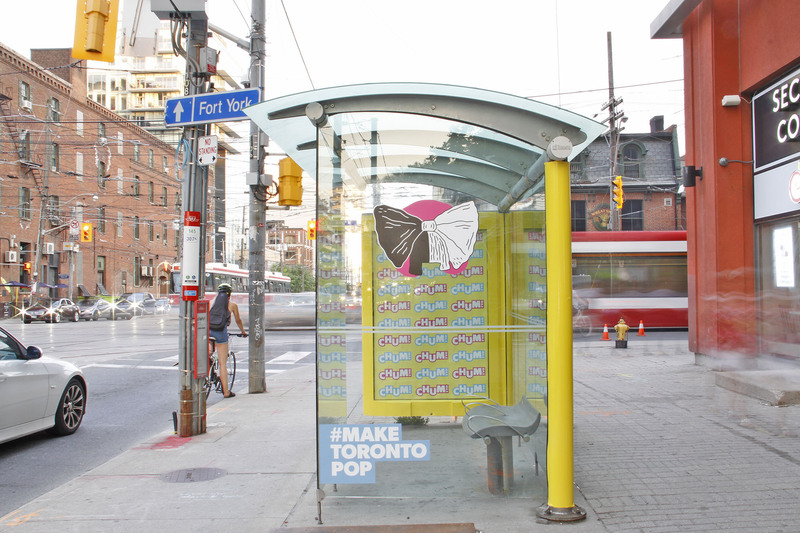 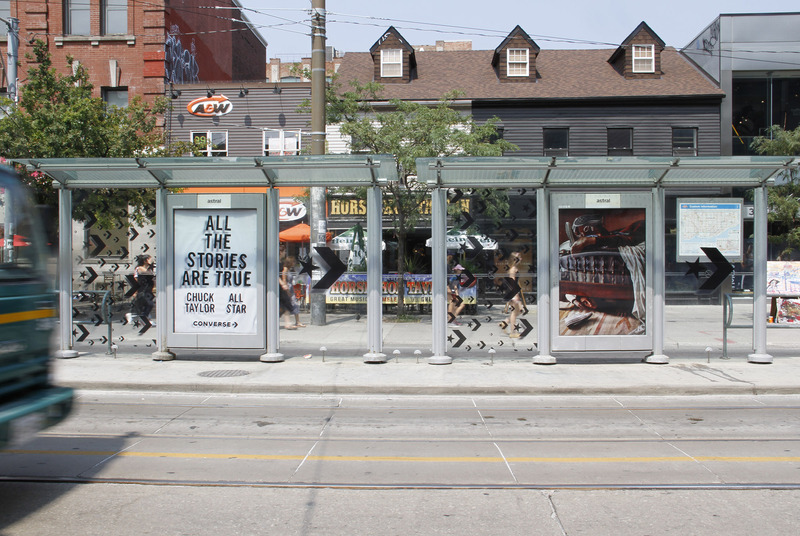 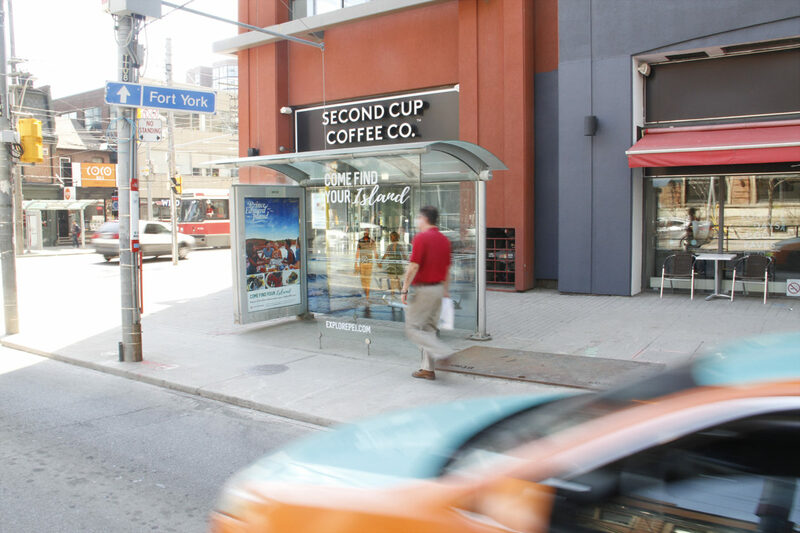 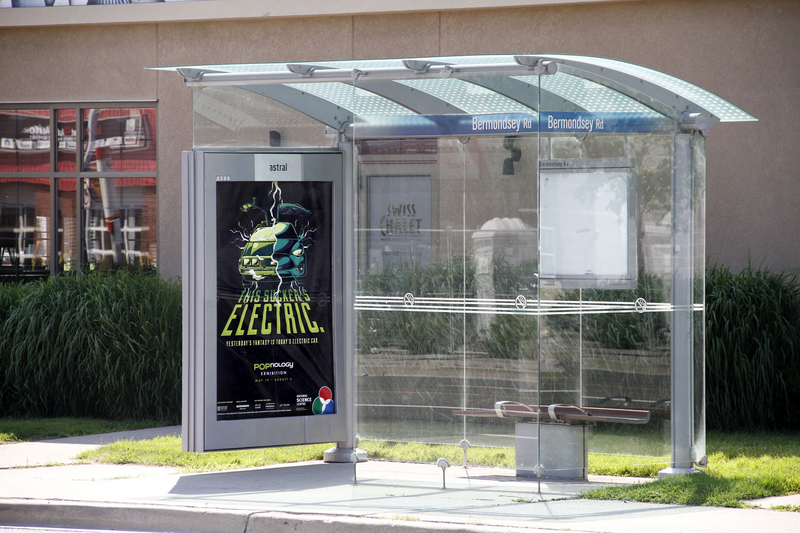 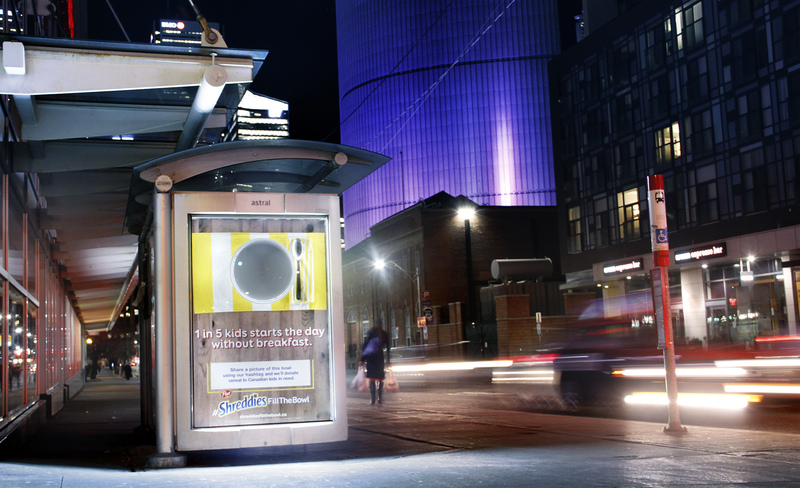 To promote their charitable effort, Shreddies advertised empty bowls on Astral’s transit shelters in Toronto. 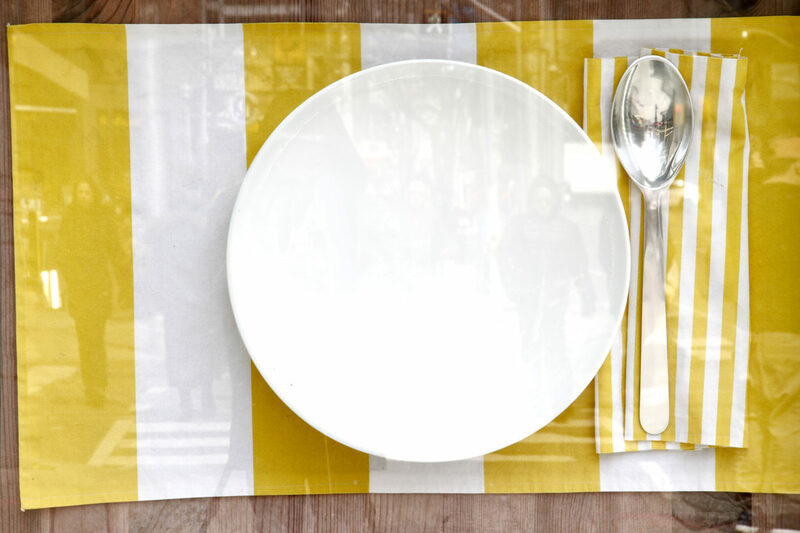 The 3 special executions comprised of an empty bowl with a spoon and placemat on a table setting. 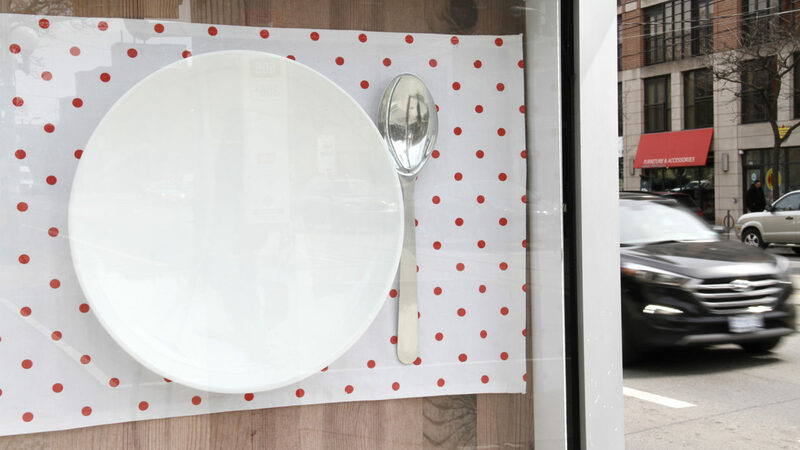 Consumers were asked to take photos of the empty bowls and post them to Facebook or Instagram with the hashtag #ShreddiesFillTheBowl. 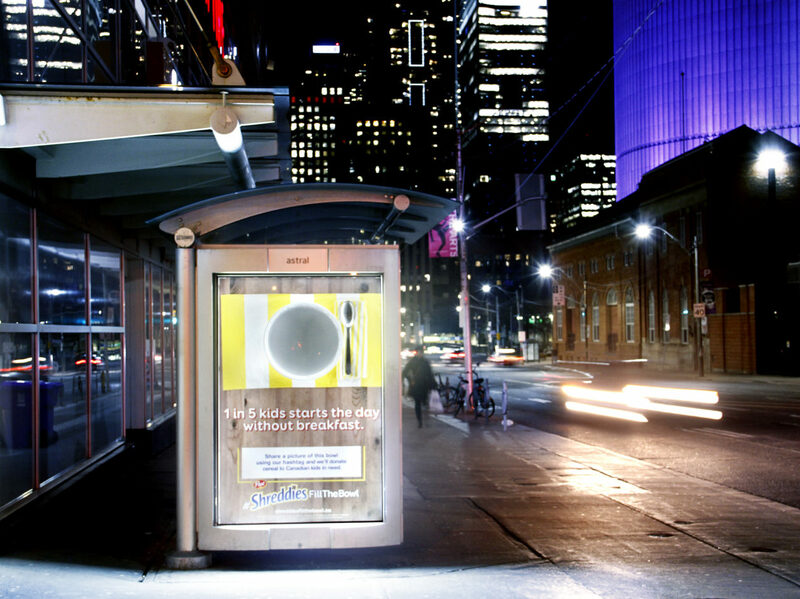 For every picture posted online, Shreddies donated an equivalent of 10 bowls of cereal to charities across Canada, thereby providing breakfast to children all across the country. 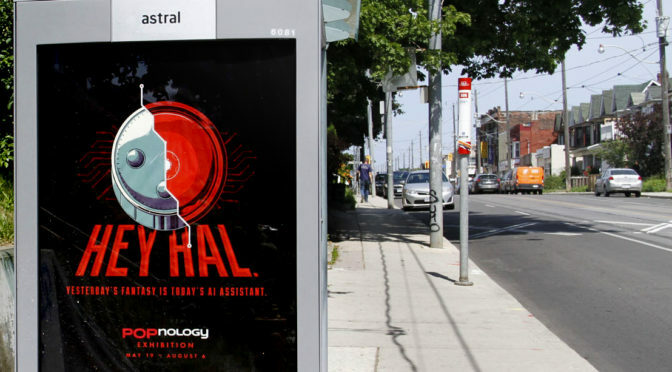 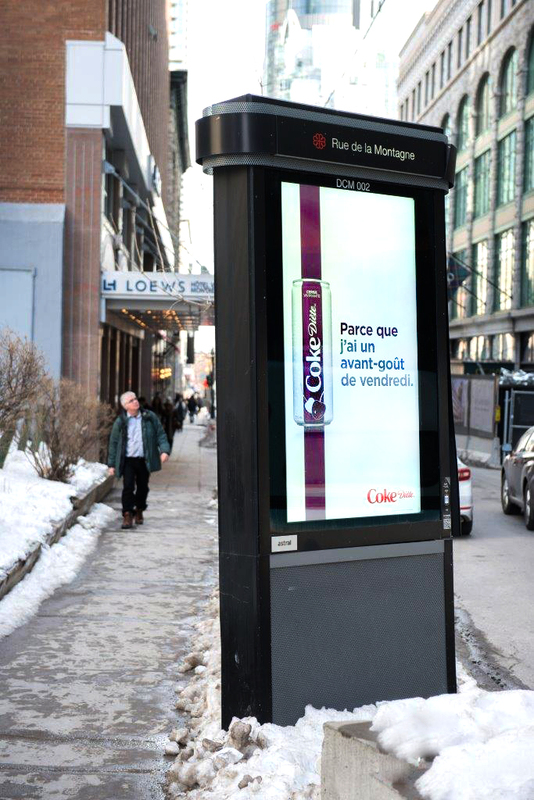 The Astral Out of Home network helped Loto-Québec’s “Walking Dead” campaign make quite am impact, scaring up some attention from passers-by at the corner of De Maisonneuve Boulevard and Metcalfe Street in Montreal. 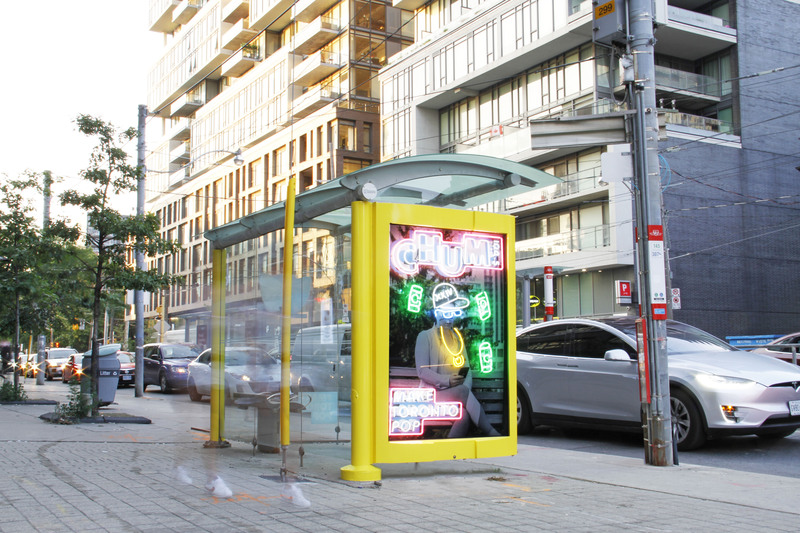 The campaign was designed to promote the “Walking Dead” scratch-card lottery, which returns this year with a $20,000 jackpot. 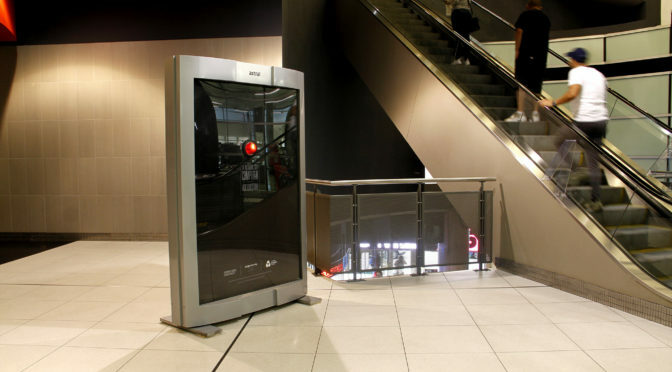 The 4-week “Walking Dead” campaign included a one-night stunt in which an actor in full zombie make-up was hidden inside a MegaColumn to scare passers-by. 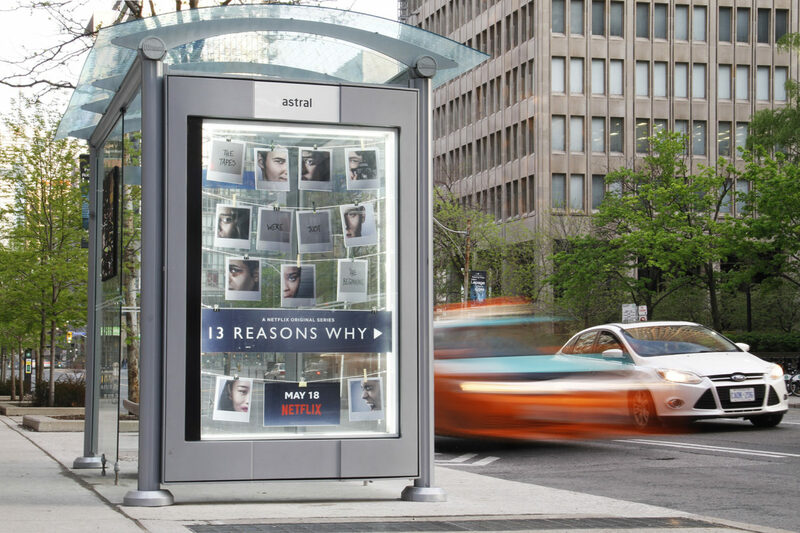 The stunt was filmed with a hidden camera and then posted on our digital column network in Montreal in order to increase visibility. 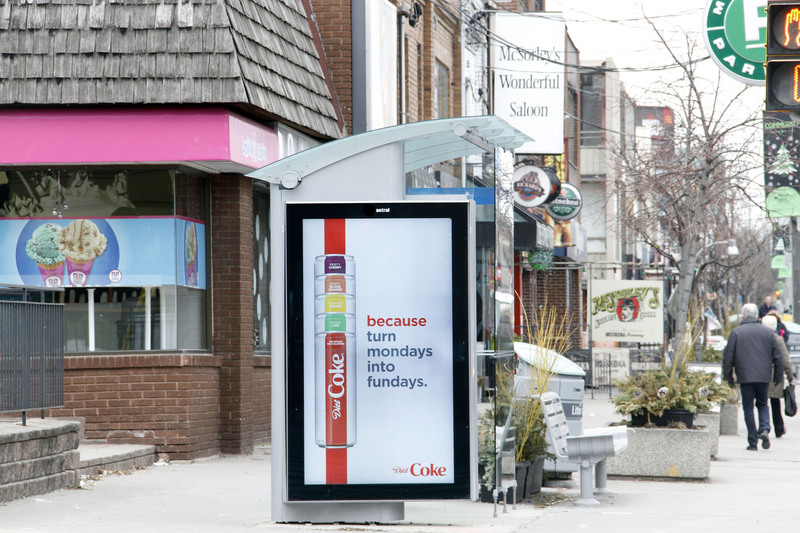 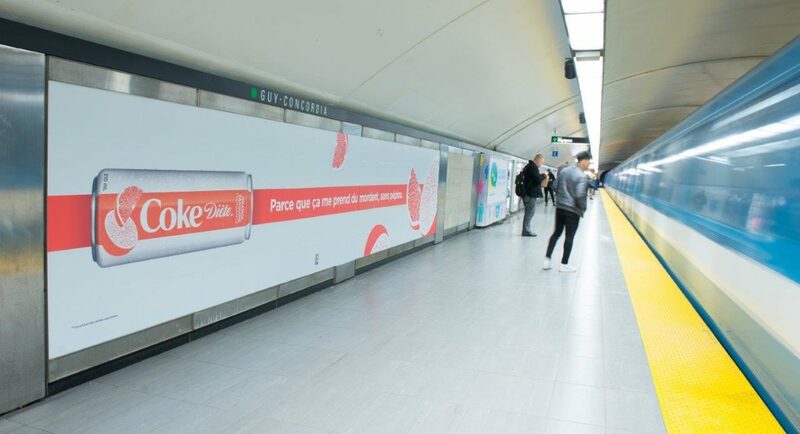 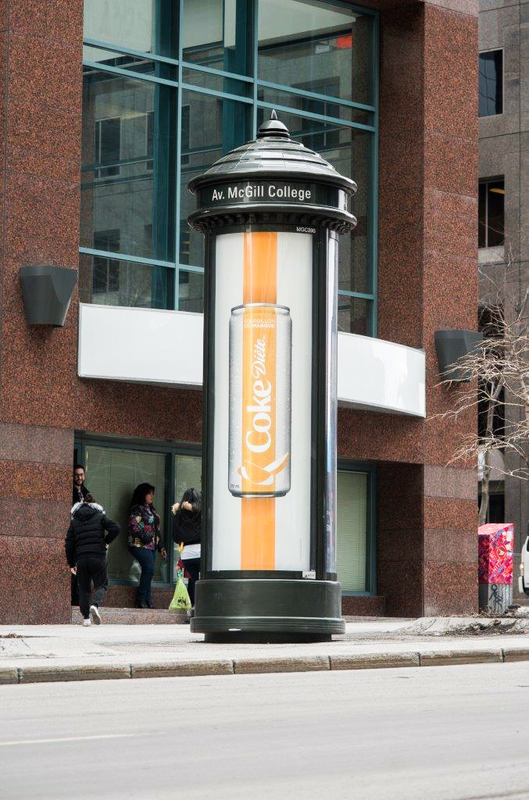 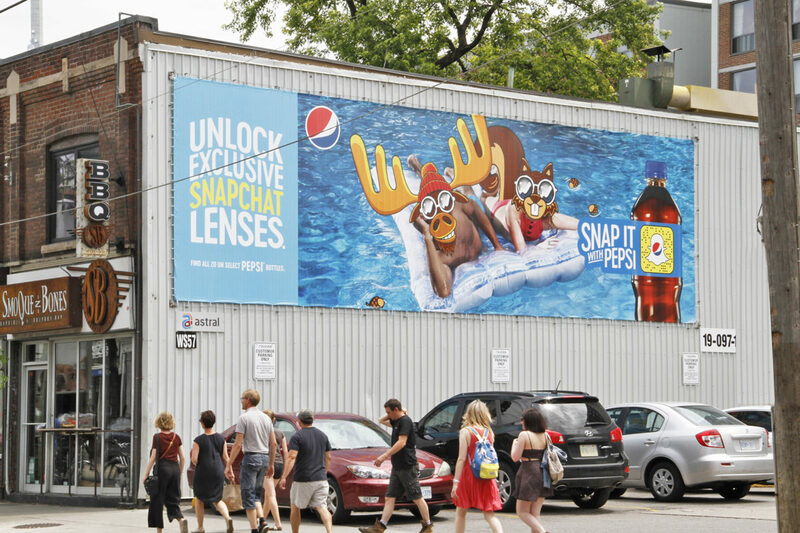 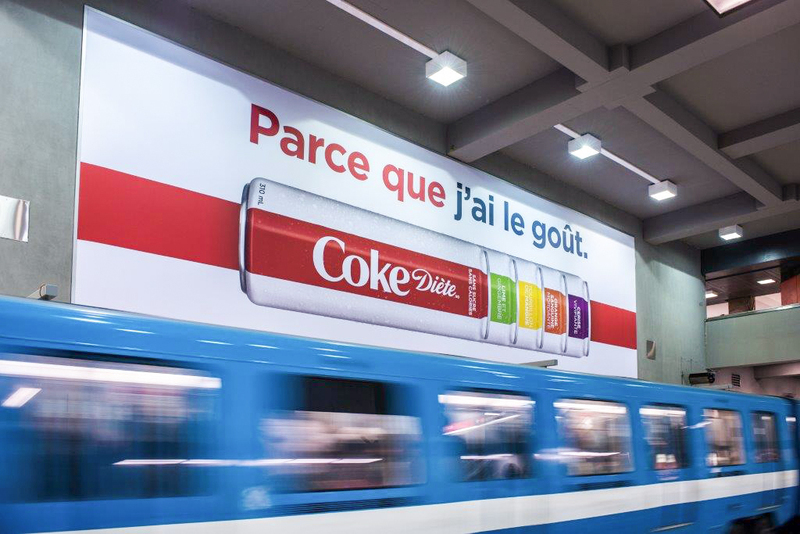 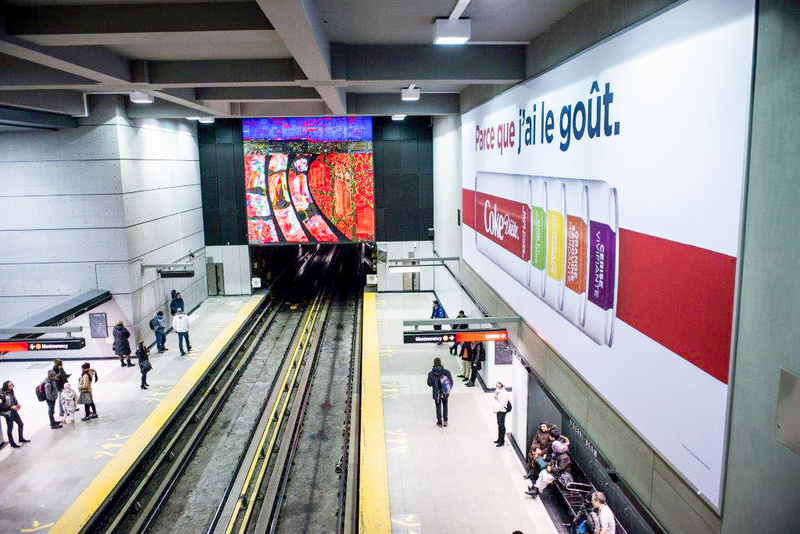 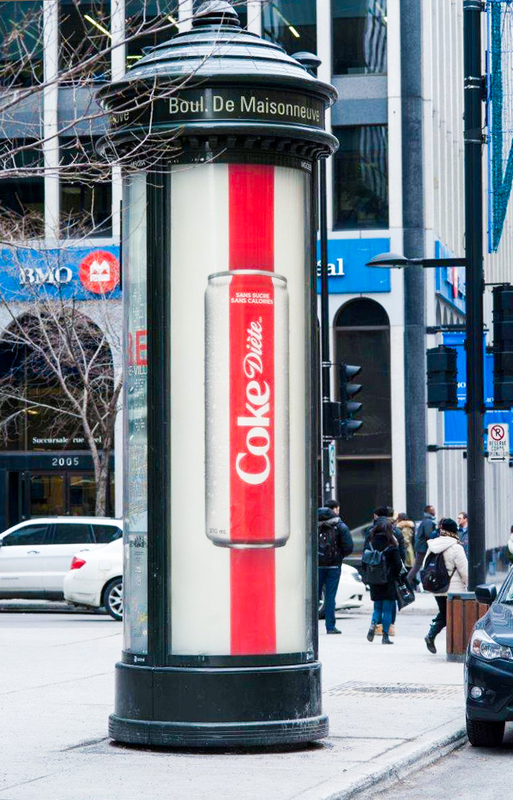 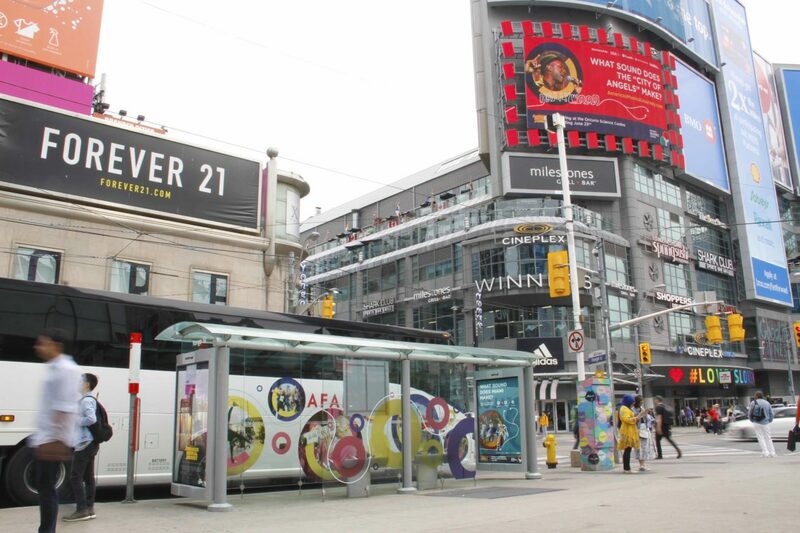 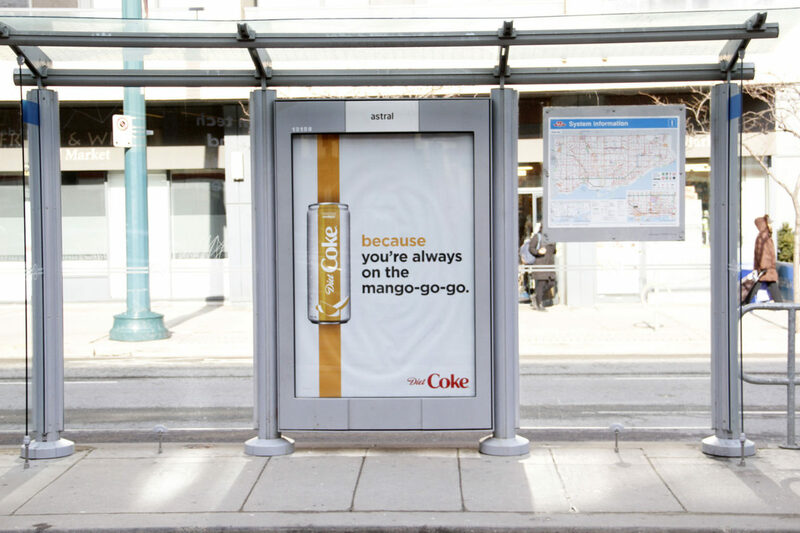 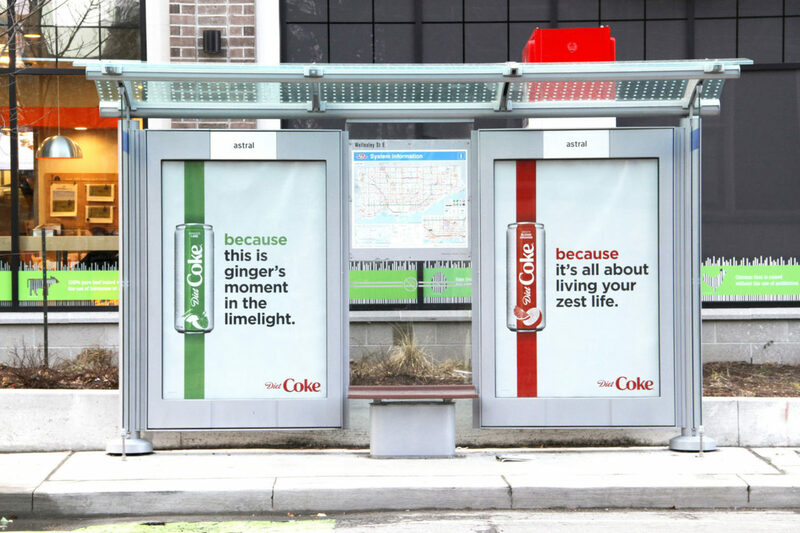 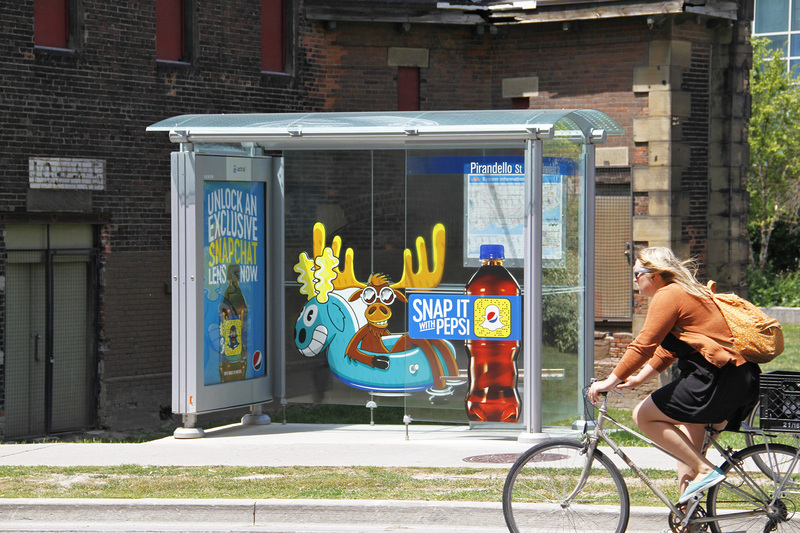 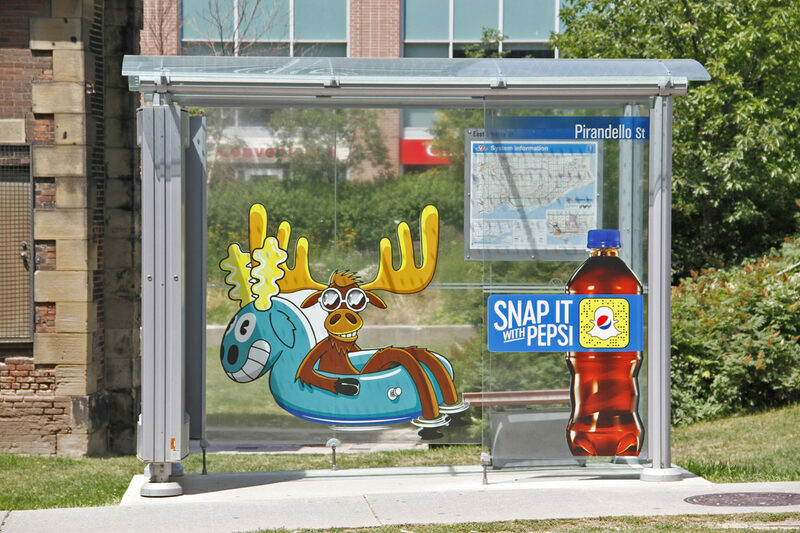 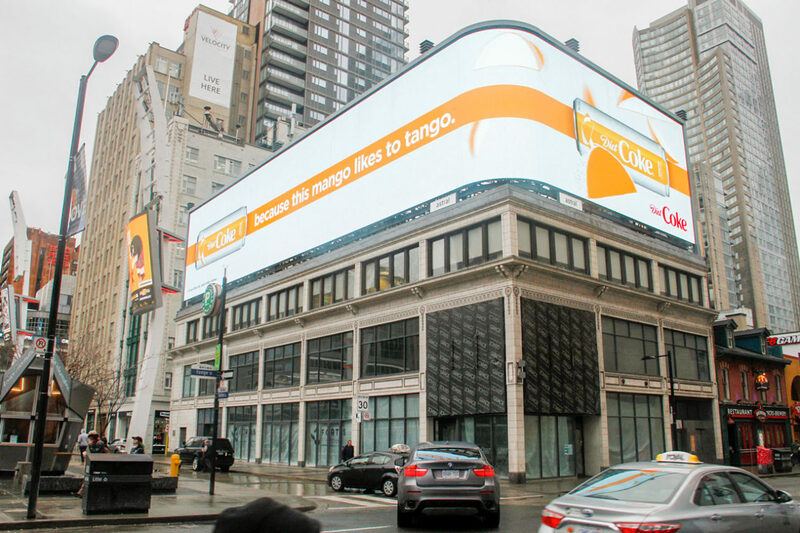 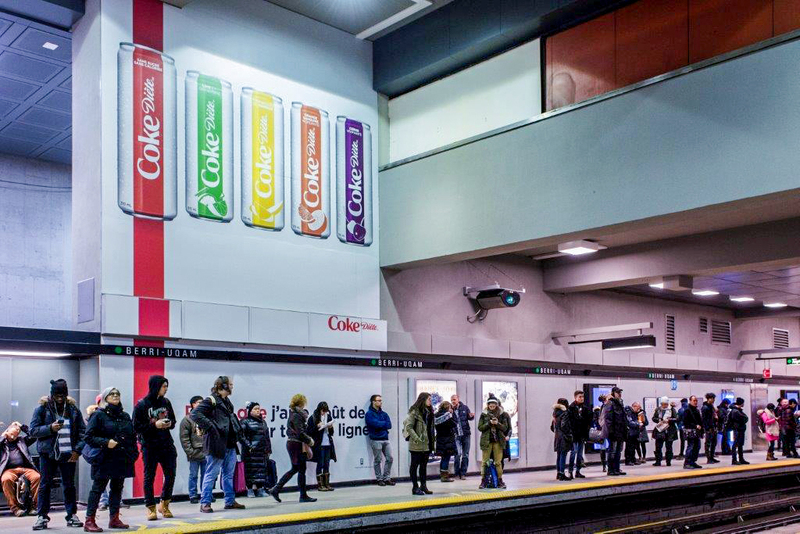 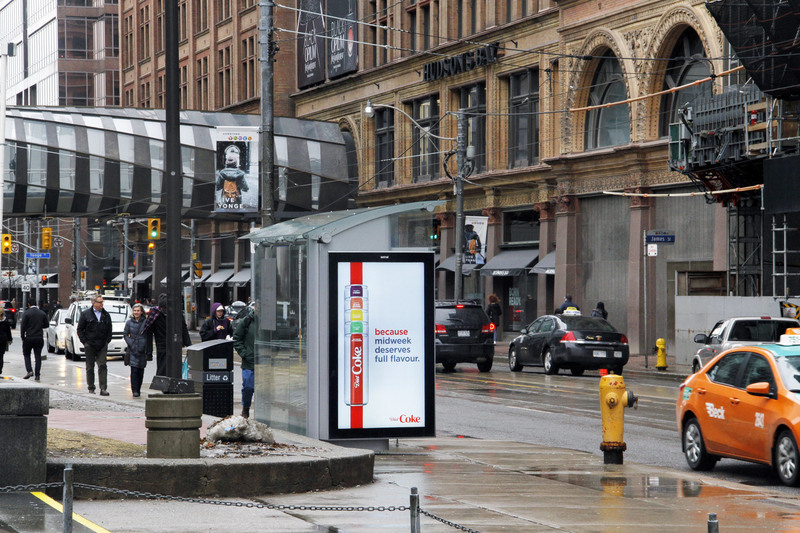 Pepsi Canada chose to promote its “Snap with Pepsi” campaign using Astral Out of Home transit shelters and a mural in Toronto. 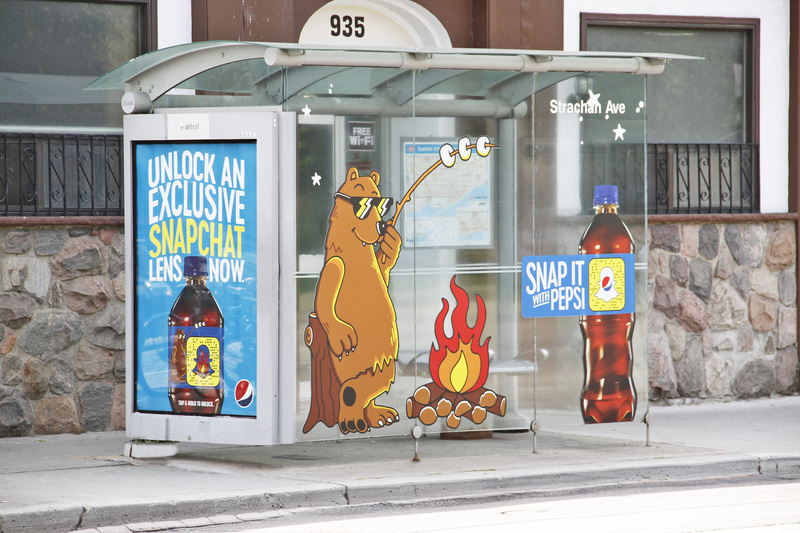 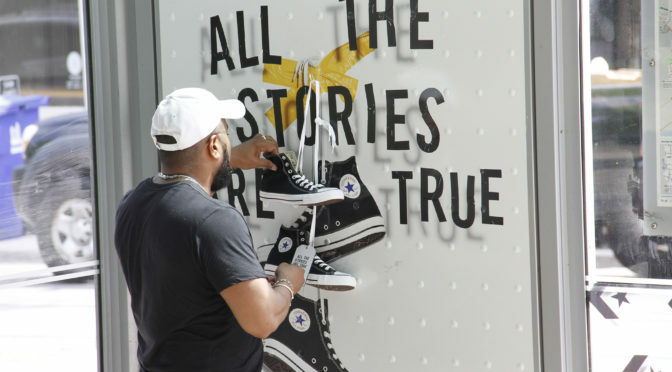 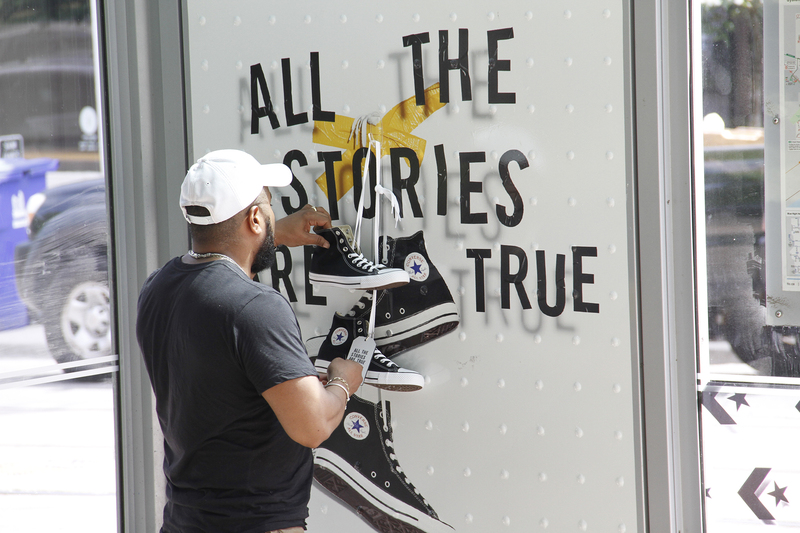 SnapCodes replicating giant bottles were displayed on vinyl decals, allowing passers-by to easily take pictures via Snapchat. 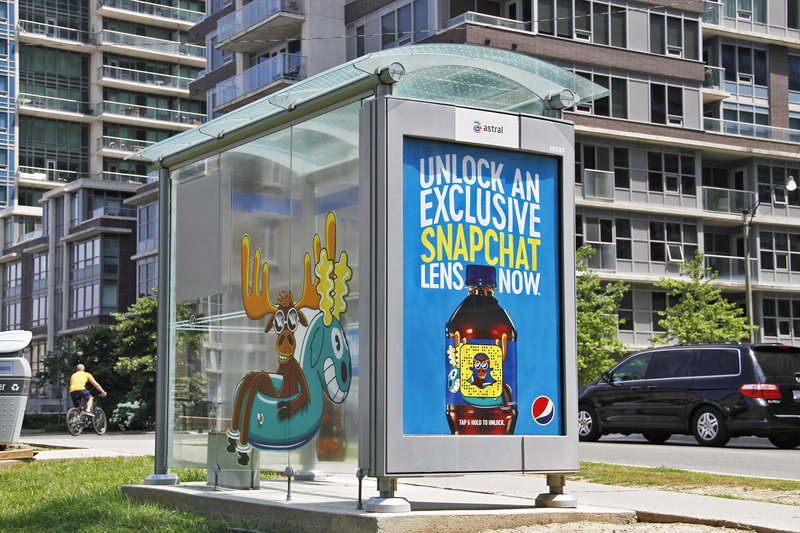 In doing so, a special lens was unlocked for one hour, during which time users could take fun selfies. 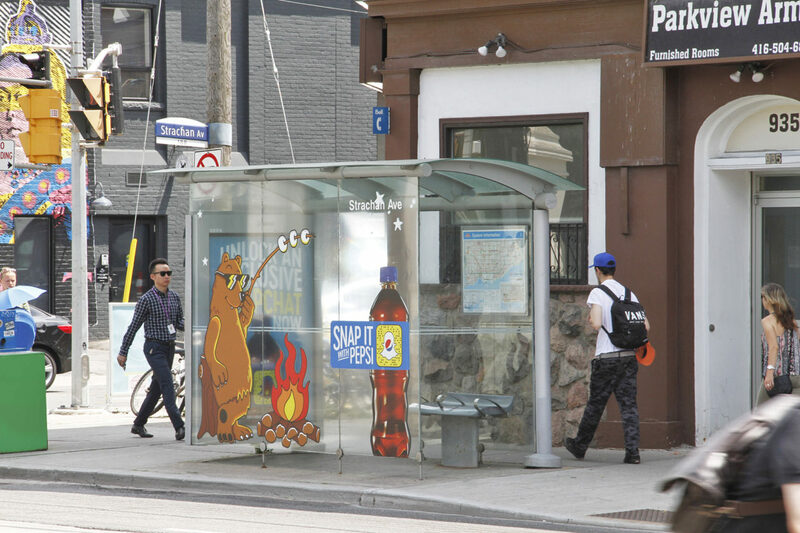 The transit shelter also prominently featured a large decal showing a moose in colourful sunglasses (the accessory appearing on the special lens), in order to attract attention and generate curiosity. 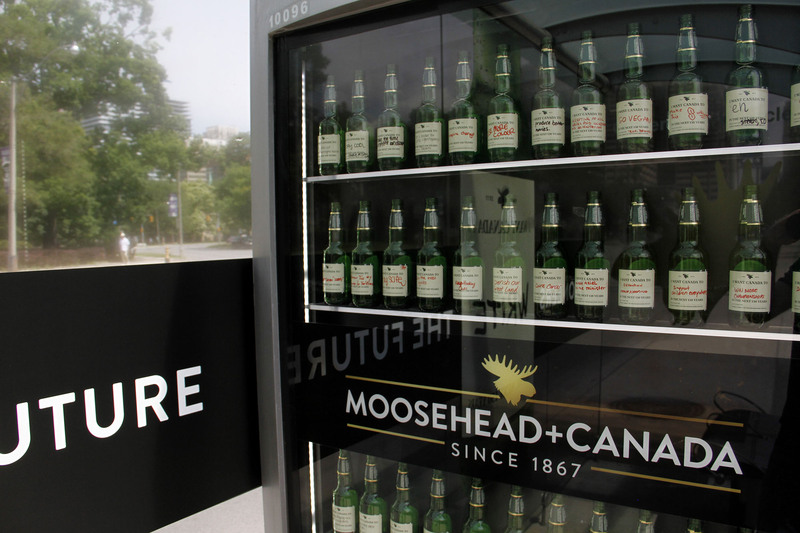 As both Moosehead Breweries and Canada celebrate their 150th this year, Moosehead launched the “We Are Still Pioneers” campaign in May to highlight the anniversary and the history of Canadian resilience. 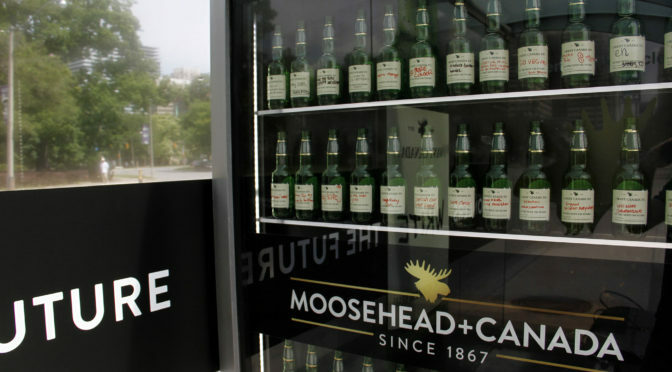 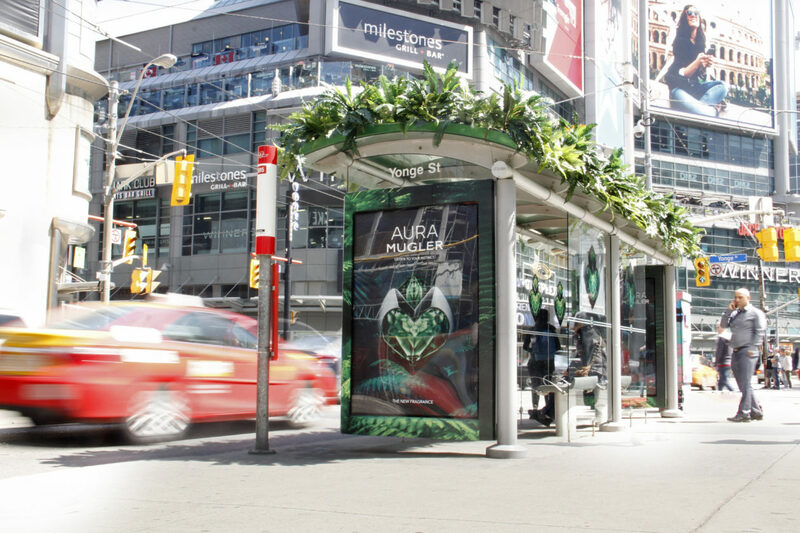 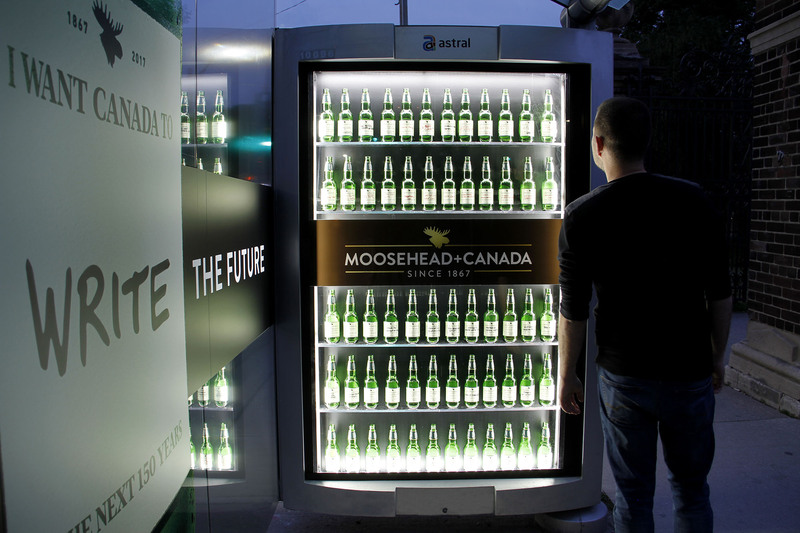 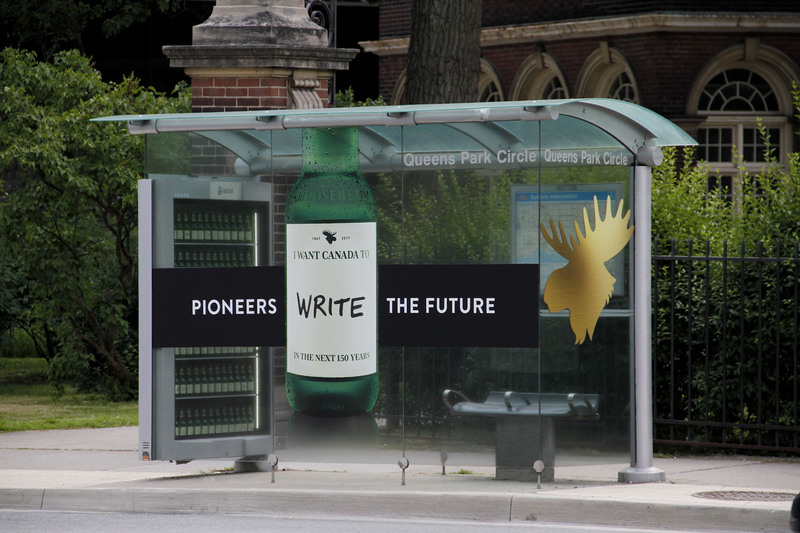 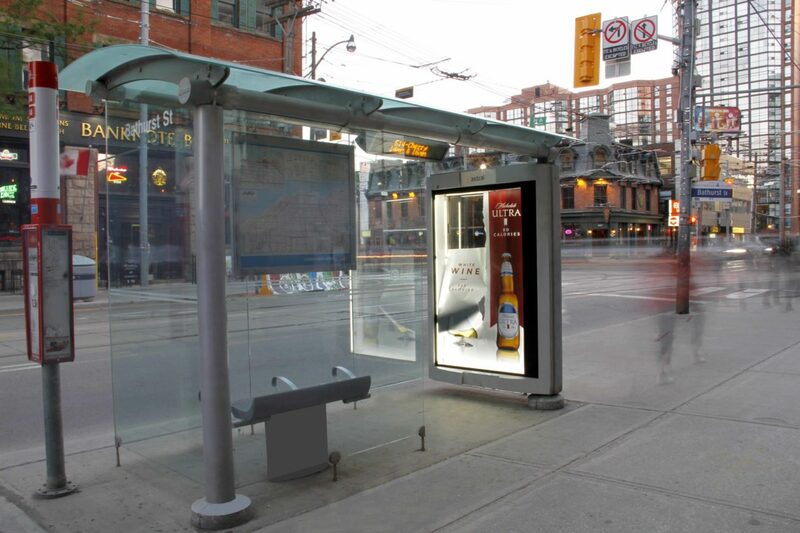 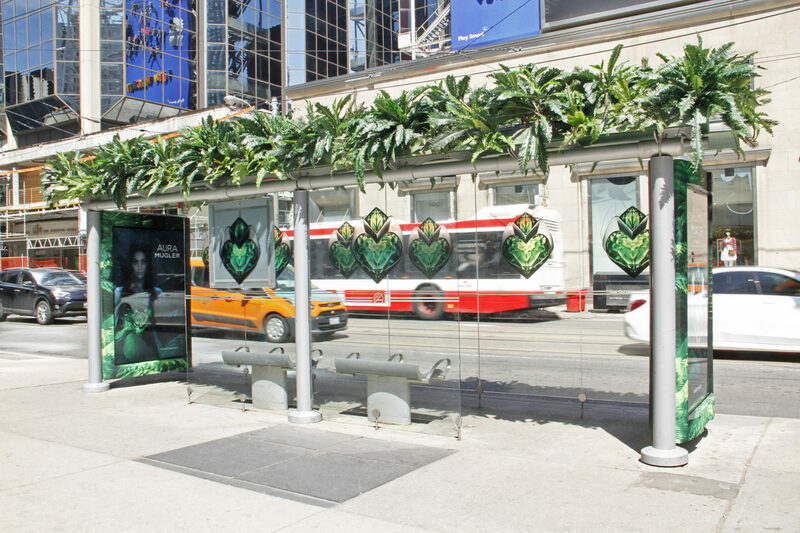 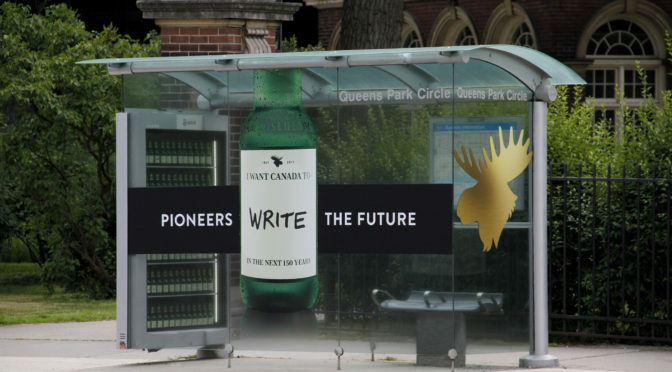 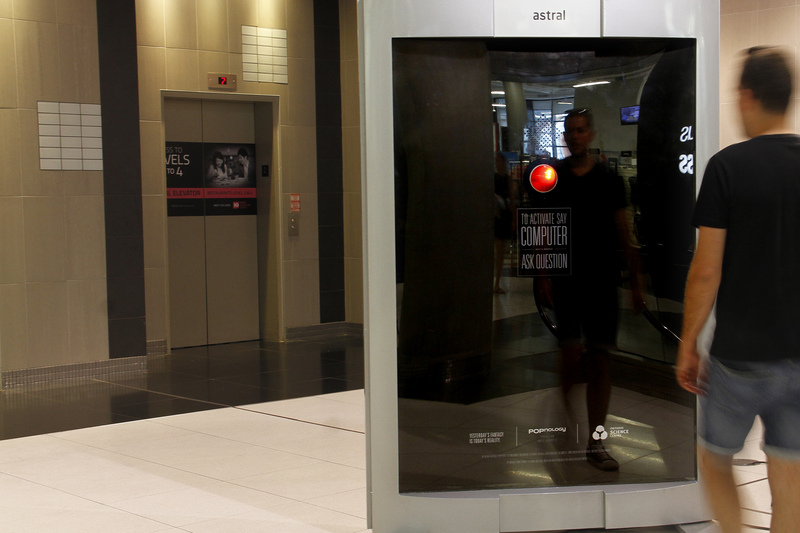 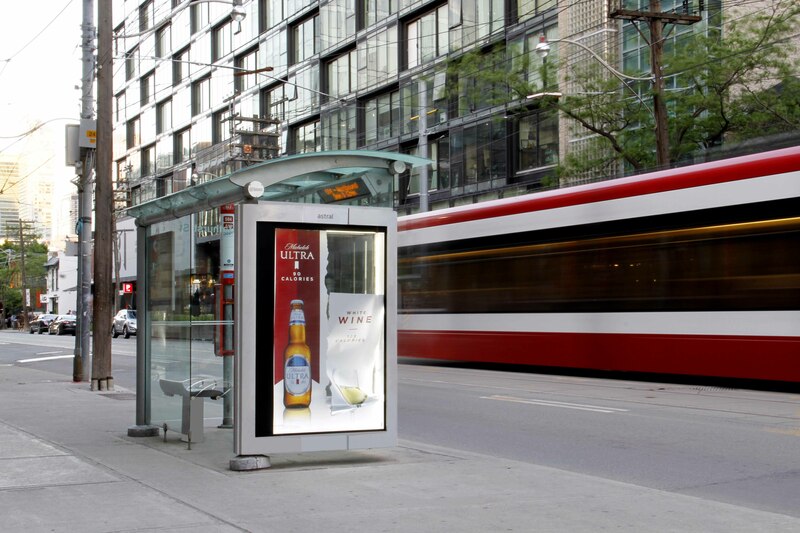 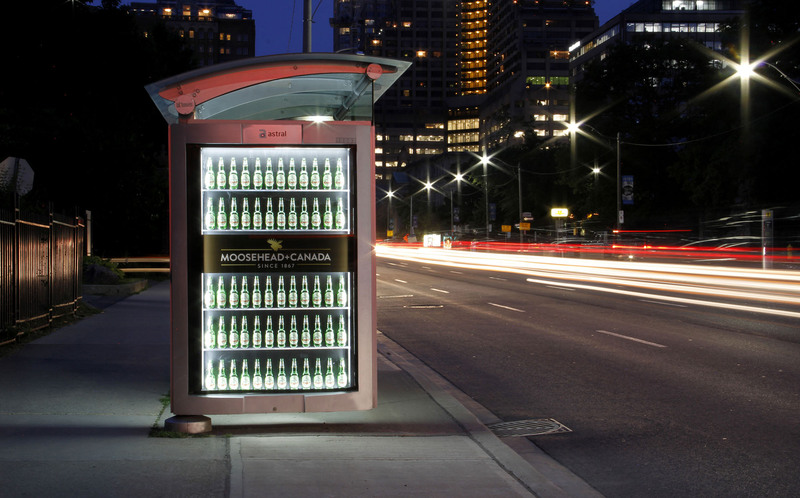 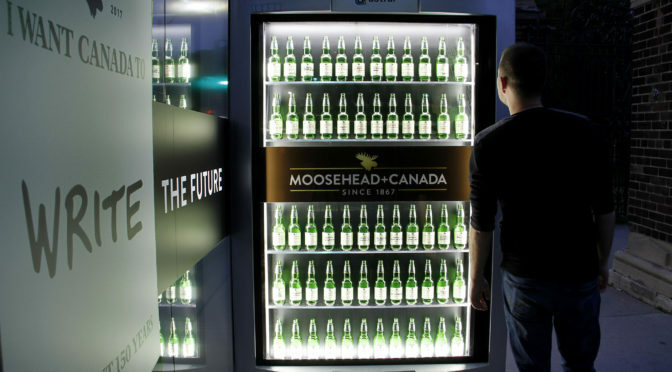 Astral Out of Home helped Moosehead launch the invite phase with special showcase transit shelters that displayed real limited edition “Canada Day Future Bottles” of Moosehead Lager. 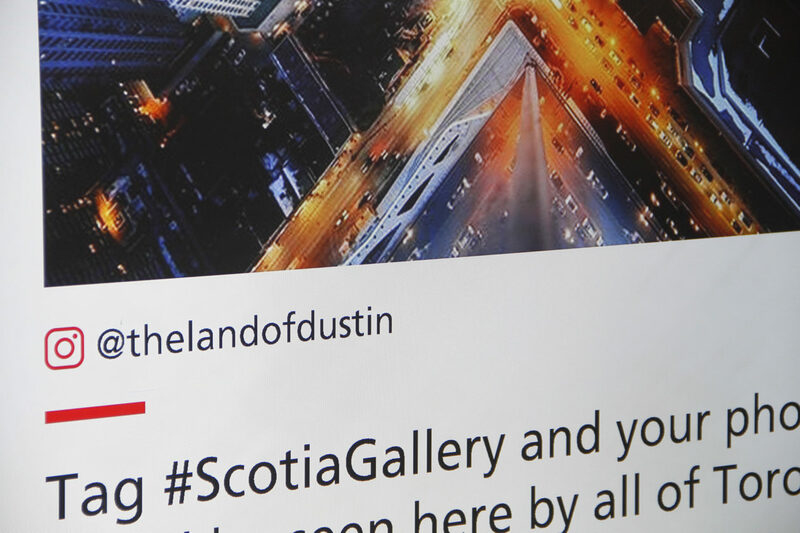 Canadians were invited to write their vision of what the future of the country should look like on the labels and share them using the #Outlast hashtag on social media. 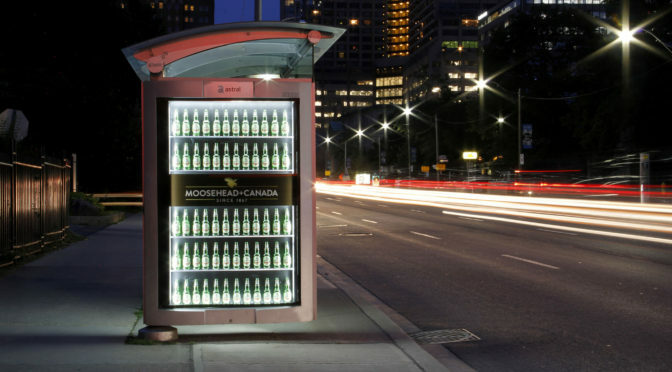 The outer transit shelter face showcased Moosehead Lager’s newly redesigned label. 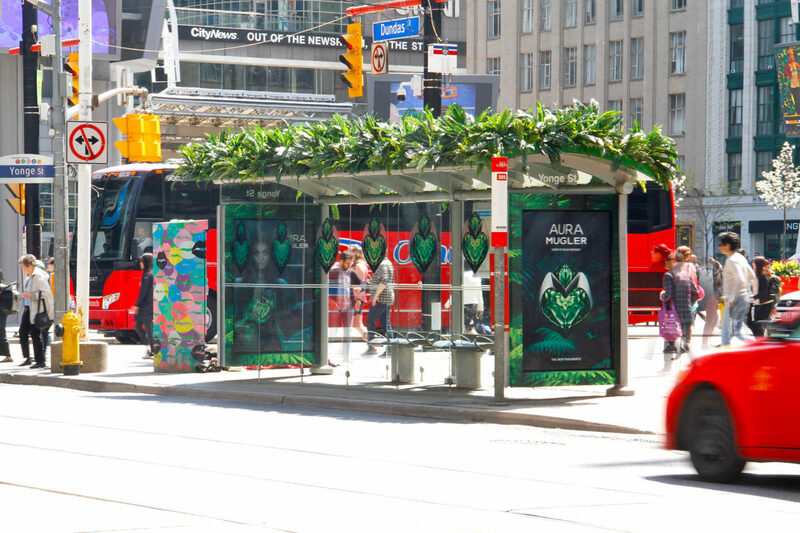 Monster.ca took advantage of Astral’ Out Of Home’s street level products to strengthen brand awareness to the employment market. 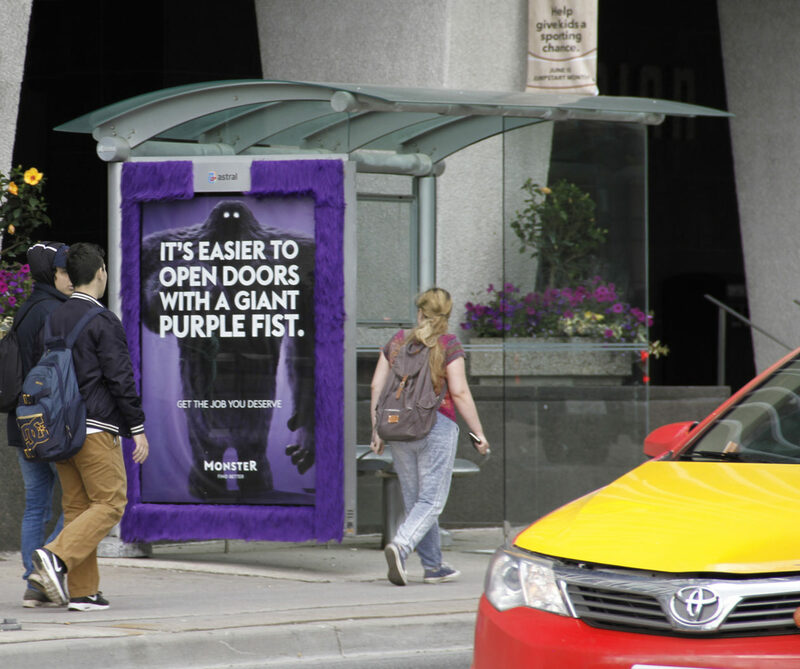 Monster is a global online employment solution that connects people and job opportunities. 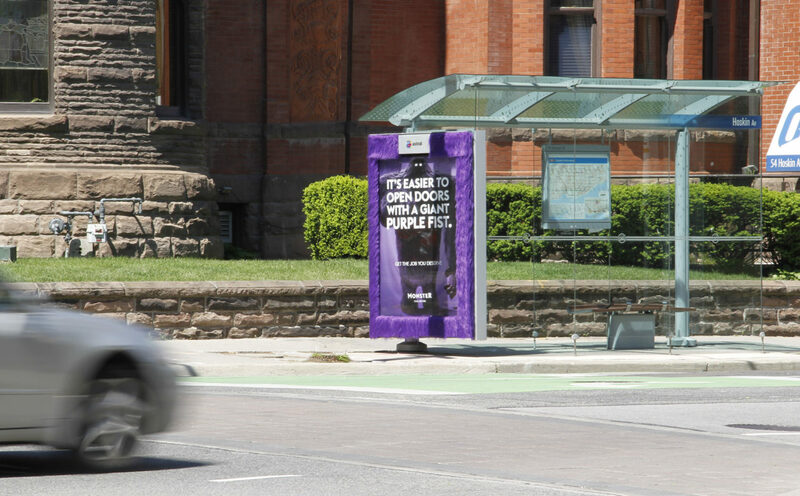 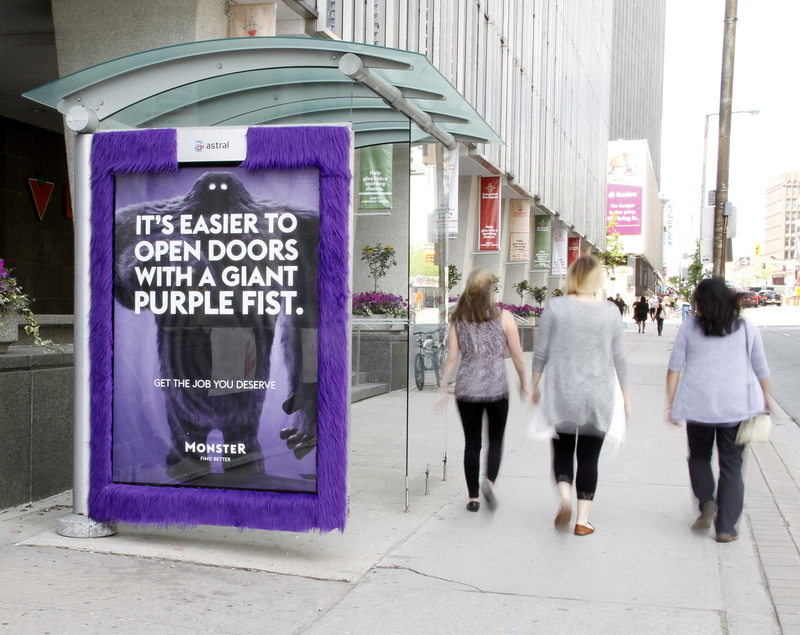 In Toronto, Monster wrapped ad cases in purple fur to bring the brand mascot to life. 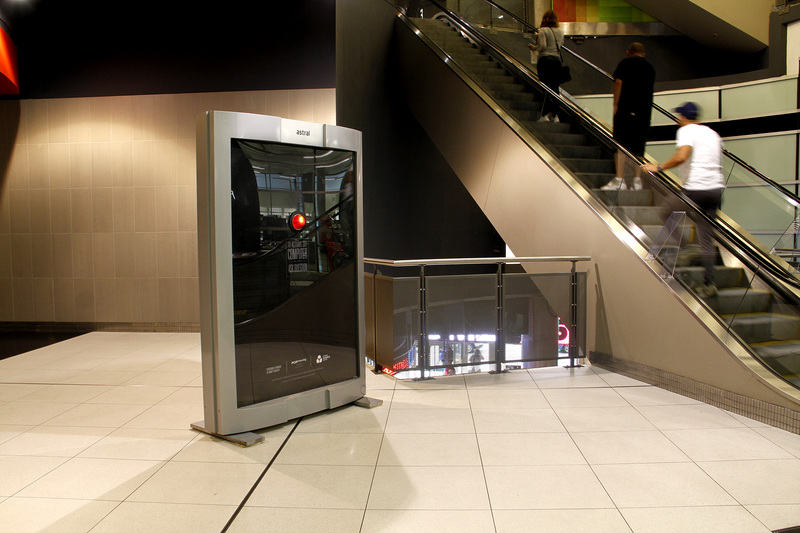 The results are very fun and extremely attention-getting. 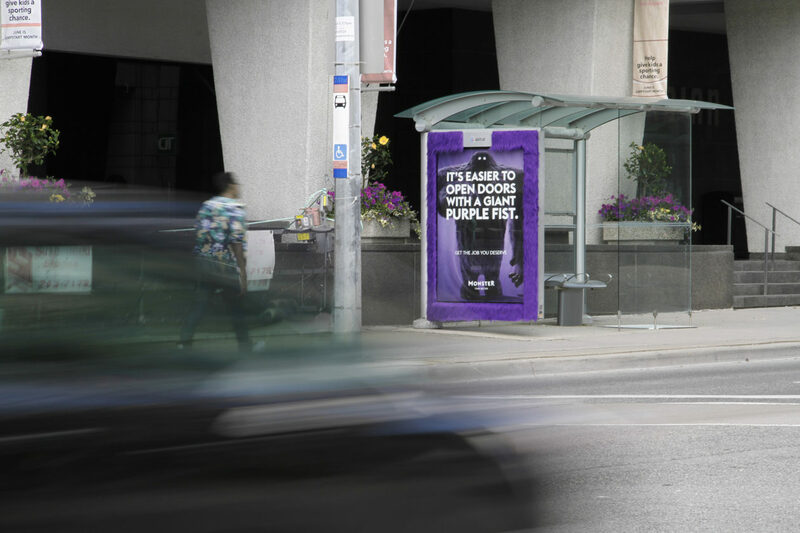 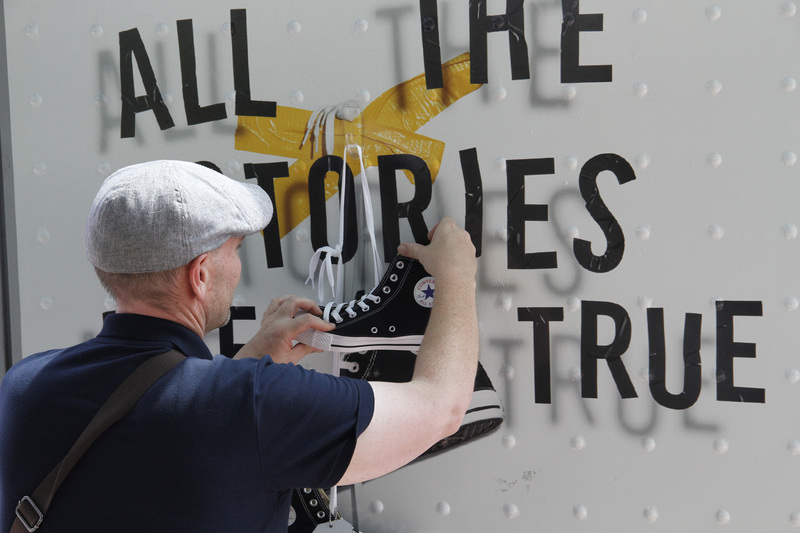 GRPs rounded out the campaign in Toronto and on Montreal Street columns.